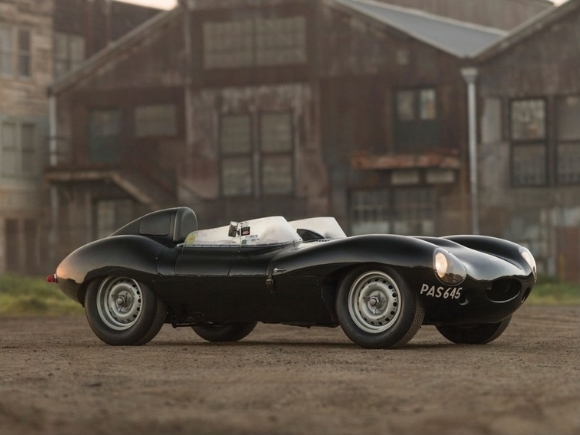 1955 Jaguar D-Type. Estimate $3,750,000 – $4,250,000. Photo: Patrick Ernzen © 2015 courtesy RM Auctions. BLENHEIM, ON.– A historic 1955 Jaguar D-Type, chassis no. 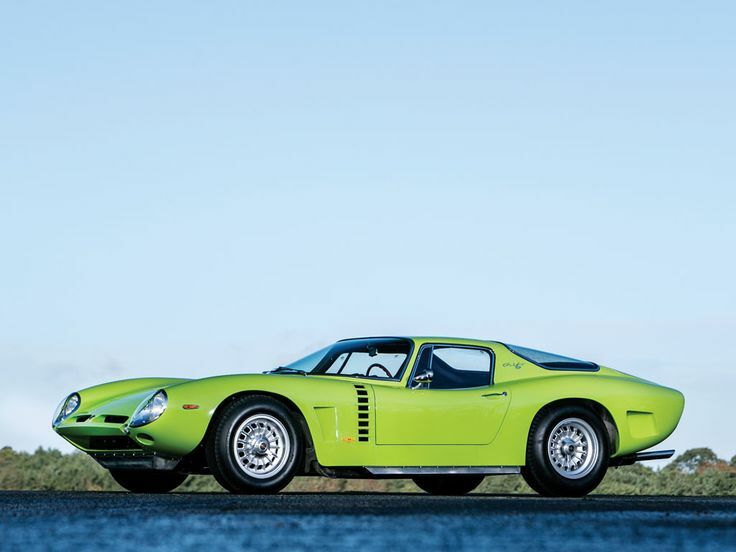 XKD 530, is among the latest highlights for RM Auctions’ highly anticipated Amelia Island, Florida sale, returning March 14 to the Ritz-Carlton. 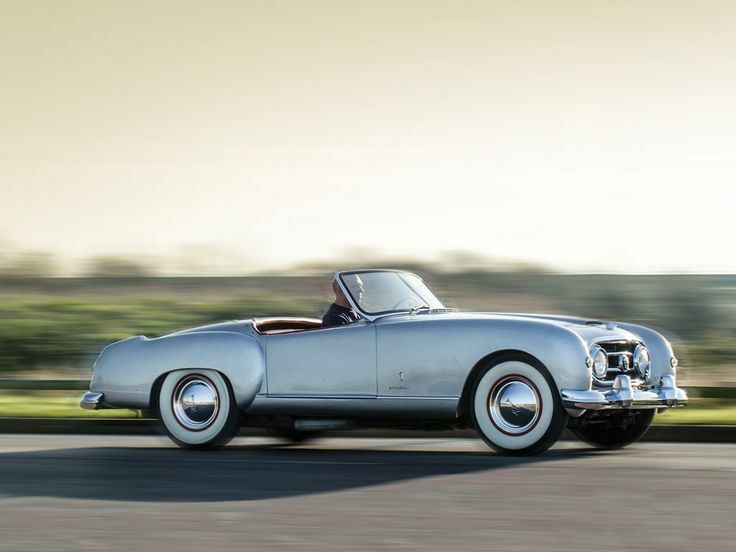 The official auction of the esteemed Amelia Island Concours d’Elegance, the single-day RM sale will lift the gavel on 100 automobiles and select memorabilia, including 14 vehicles with pre-sale estimates exceeding $1 million. The Jaguar D-Type, XKD 530, joins the previously announced 1960 Ferrari 400 Superamerica SWB Cabriolet as a headline attraction for this year’s Amelia Island sale. One of just 54 D-Types produced for privateer use, it was delivered new to famed Finnish tennis player, Curt Lincoln, who piloted the car to numerous 1st and 2nd place finishes throughout Finland, as well as in ice racing competition. A subsequent owner commissioned an extensively researched restoration by one of the world’s foremost Jaguar experts which was completed in 2003. Since then, it has run the Mille Miglia four times and has been invited to numerous top concours events, including the 2011 Amelia Island Concours d’Elegance. Under its current ownership, the car has been carefully sorted, regularly exercised and maintained to ensure it is ready for reliable road or track use. Tremendously eligible for the world’s foremost racing and rally events, XKD 530 is offered with a FIVA Passport and FIA papers, along with a host of other important restoration and historic documentation (Est. $3,750,000 – $4,250,000). In addition to the D-Type, RM’s March 14 sale will also lift the gavel on a 1971 Lamborghini Miura SV and a highly desirable 1972 Ferrari 365 GTB/4 Daytona Spider. 1971 Lamborghini Miura SV. 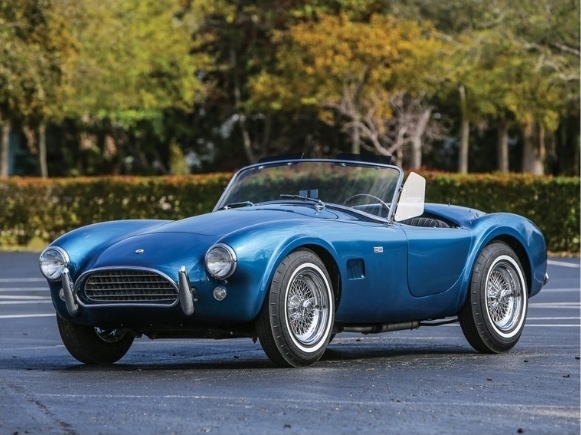 Estimate $2,250,000 – $2,750,000 © 2015 courtesy RM Auctions. One of just 21 Miura SV examples built specifically for the U.S. market, the 1971 Lamborghini Miura SV, chassis no. 4884, was the prototype built for EPA testing and the very first American SV sold. A factory publicity car, it appeared on the official factory brochure and was displayed at the 1971 Boston Auto Show, finished in the same (original) color combination as it is presented today. 4884 was eventually acquired by noted Lamborghini expert Joe Sackey, who commissioned a complete restoration prior to the car’s display at the 2006 Concorso Italiano where it was awarded First in Class honors. 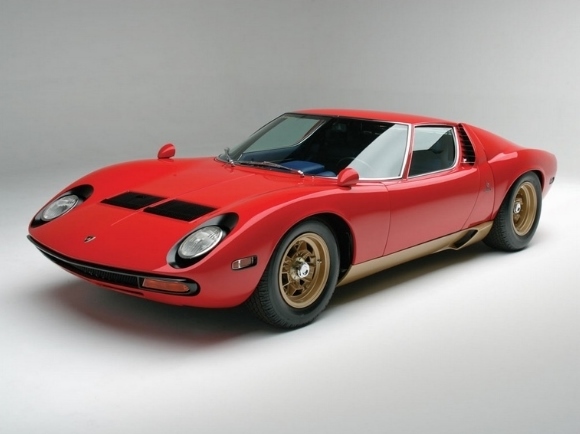 Among other accolades, it was chosen as the cover car for Sackey’s 2008 work, The Lamborghini Miura Bible, and has been featured in numerous magazines. Instantly recognizable to any Lamborghini aficionado, 4884 is one of the most significant, beautifully restored and authentic examples of all (Est. $2,250,000 – $2,750,000). 1972 Ferrari 365 GTB/4 Daytona Spider by Scaglietti. 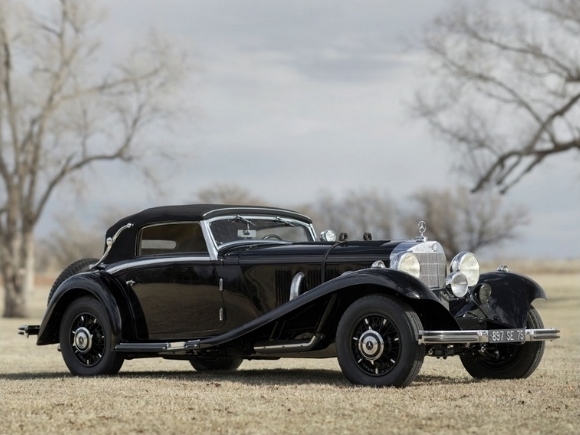 Estimate $3,000,000 – $3,500,000 © 2015 courtesy RM Auctions. The 1972 Ferrari 365 GTB/4 Daytona Spider, chassis no. 15417, joins a group of 12 Ferraris slated for RM’s Amelia Island podium. One of a mere 121 genuine examples constructed, it was delivered new to the U.S. through the famed Luigi Chinetti Motors and spent time in several Midwestern collections before being acquired by Jeffery Schwartz of New Jersey in 1998. Schwartz commissioned a full restoration, refinishing the car in its original color combination of Nero over a brown leather interior with black Daytona seat inserts. Shown at the 2013 Cavallino Classic, the Spider received a Platinum Award, highlighting the supreme quality of its restoration almost 15 years after completion. This Ferrari Classiche certified Daytona Spider remains in excellent condition, ready for its next concours outing (Est. $3,000,000 – $3,500,000). 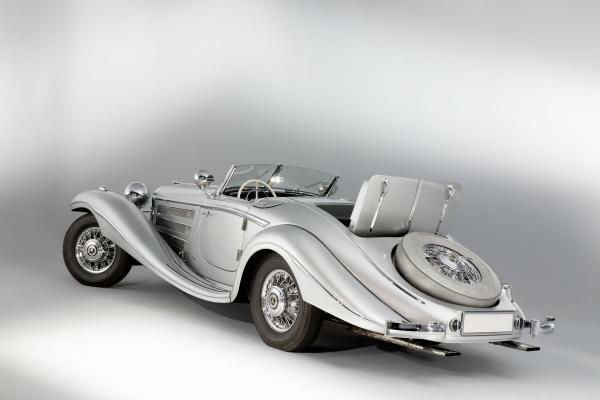 1935 Mercedes-Benz 500/540 K Cabriolet A by Sindelfingen. Estimate $2,900,000 – $3,500,000 © 2015 courtesy RM Auctions. 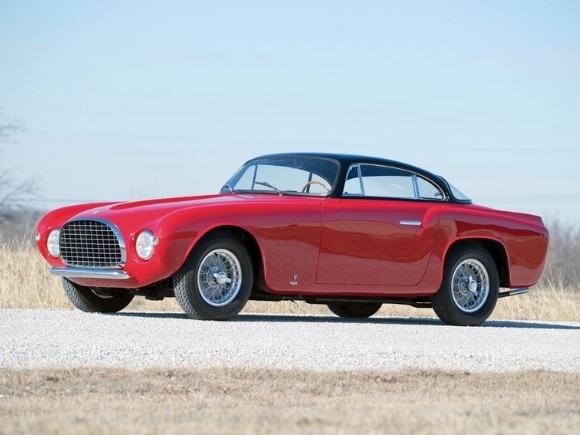 1953 Ferrari 212 Europa Coupe by Vignale. Estimate $2,000,000 – $2,500,000 © 2015 courtesy RM Auctions. 1963 Shelby 289 Cobra. 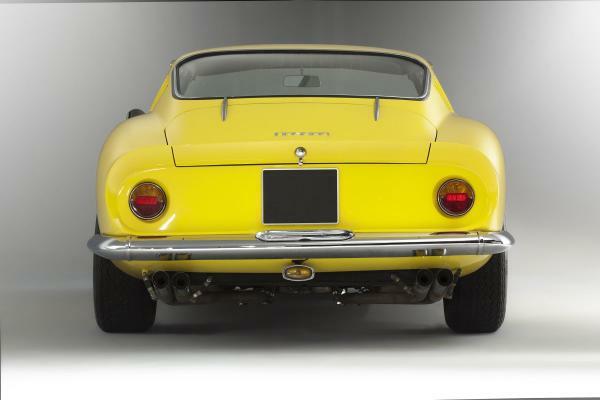 Estimate $950,000 – $1,150,000 © 2015 courtesy RM Auctions. 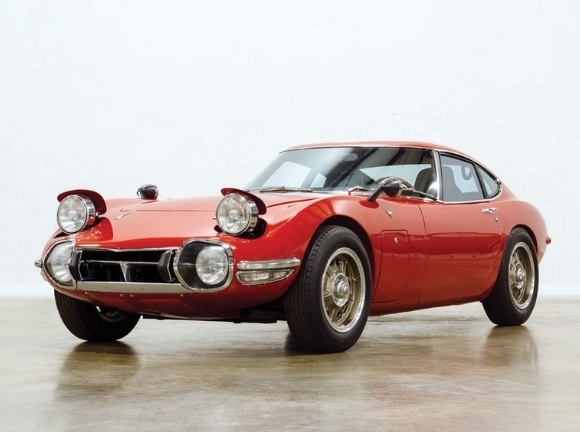 1968 Toyota 2000GT. Estimate $Est. $900,000 – $1,100,000 © 2015 courtesy RM Auctions. 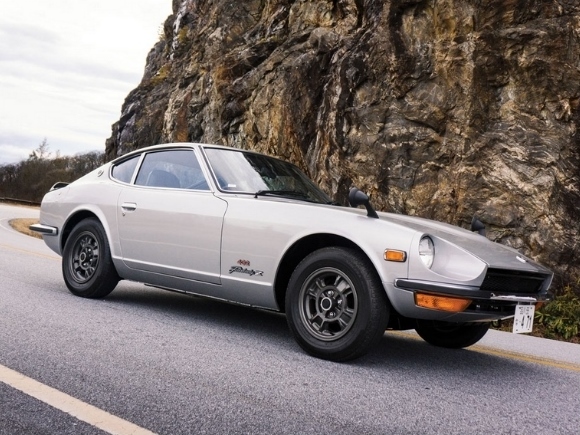 1970 Nissan Fairlady Z 432. Estimate $150,000 – $200,000 © 2015 courtesy RM Auctions. 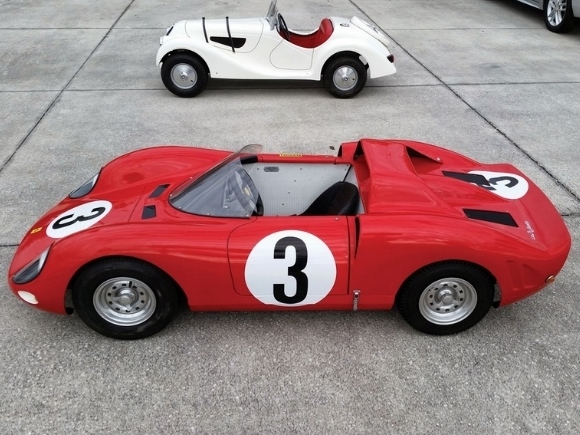 Ferrari 330 P2 Junior Child’s Car by De La Chappelle. Estimate $10,000 – $20,000 © 2015 courtesy RM Auctions. 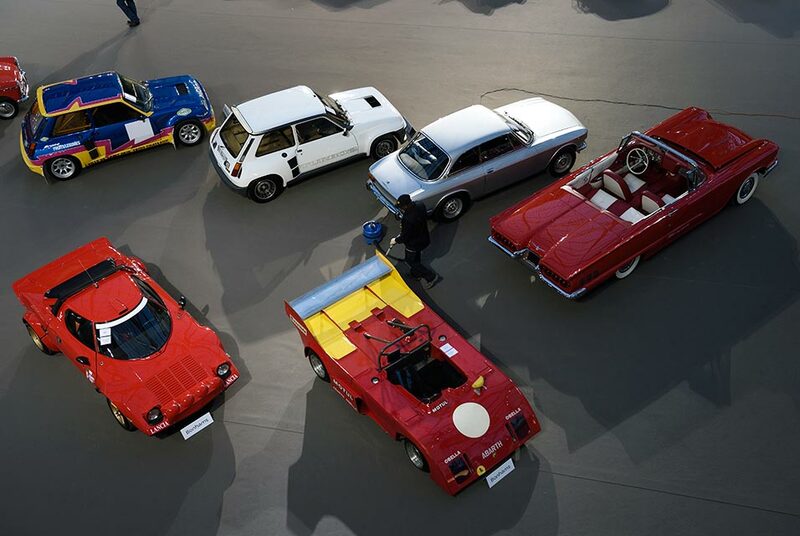 General view of vehicles displayed at the Bonhams car and moto auction on Fabruary 4, 2015 in Grand Palais in Paris. Bonhams is the largest auction house to hold scheduled sales of classic & vintage motor cars, motorcycles and car memorabilia. AFP PHOTO / ERIC FEFERBERG. 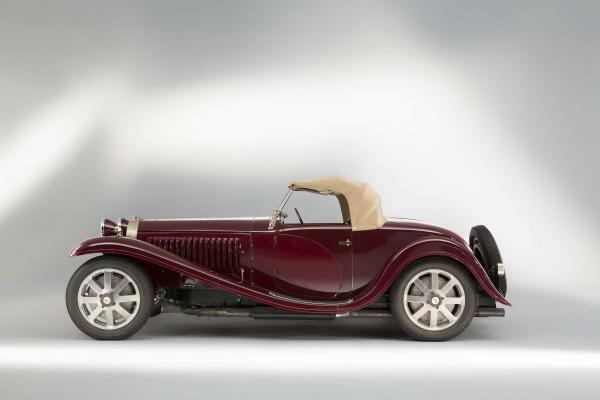 PARIS.- The Bonhams Paris auction during Retromobile week witnessed record-breaking prices, international bidding, and a record breaking total for a motor car auction held by the Bonhams Group in continental Europe. The Sale attracted bidders from across the globe with buyers from the Middle East, Far East, north and south America, Australasia competing against the European market. Several lots sold far above estimate and a new world auction record was set for a factory specification 1965 Aston Martin DB5 Convertible, further cementing Bonhams leadership with this luxury British marque. 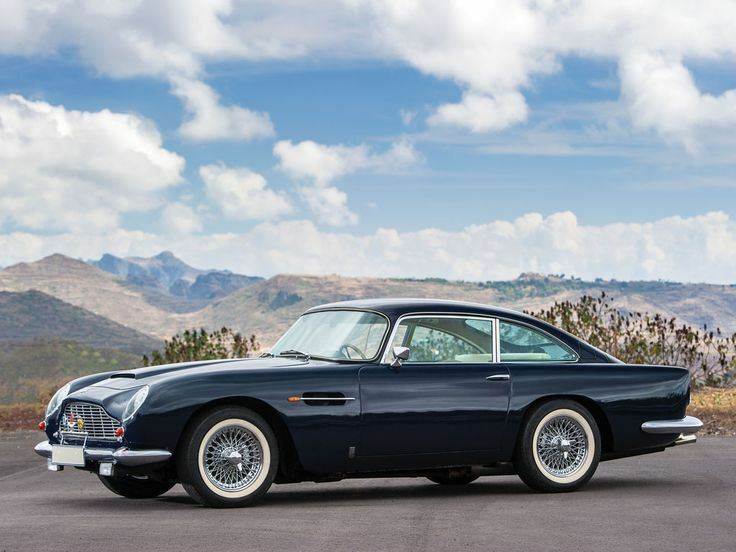 The outstanding DB5 sold to an auction room bidder against the telephone for €1,897,500 (£1,430,715). Only 39 DB5 convertibles were manufactured in left-hand drive. 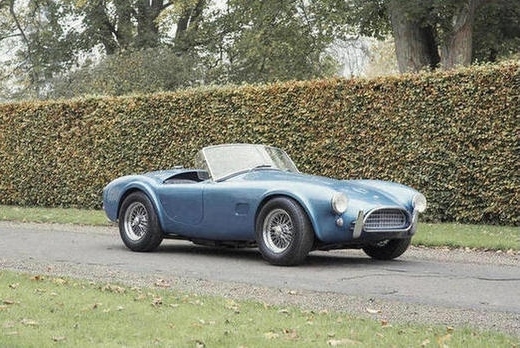 Elsewhere, one of the all-time great classic sports cars, the ex-Amschel Rothschild 1966 AC Cobra 289 ‘Mark II’ Roadster was the runaway sale of the day, selling to a British bidder in the room for an above estimate price of €937,250 (£707,686). Un des 39 exemplaires produits en volant à gauche d’origine. Aston Martin DB5 cabriolet 1965. Châssis n° DB5/C/1920/L. Moteur n° 400/2057. Sold for €1,897,500. Photo Bonhams. Ex-Amschel Rothschild, aux mains du même propriétaire depuis 1978. AC Cobra 289 « Mark II » roadster 1966. Châssis n° COB 6054. Sold for €937,250. Photo Bonhams. Ex-Boris Ivanowski, vainqueur de sa classe au Double Twelve de Brooklands en 1930. Alfa Romeo 6C 1750 Gran Sport 1930. Carrosserie James Young. Châssis n° 8513030/28. Sold for €1,184,500. Photo Bonhams. Elsewhere, Jacque Gérin’s radical 1922 Gerin Aérodyne Saloon Prototype was an unusual addition to the Bonhams sale, representing the sheer breadth of motor cars for which Bonhams is accustomed; it was discovered three years ago after a lengthy 15-year search, appearing at public auction for the very first time at Bonhams sale. The Gerin sold to an in the room bidder for €184,000 (£138,736). Gerin Aérodyne Berline Prototype 1922. No châssis 001. No de moteur M001. Sold for €184,000. Photo Bonhams. In the early veteran field, a mighty London to Brighton eligible 1904 Panhard-Levassor Four-cylinder 35hp Sports Two-Seater realised €747,500 (£563,615,). Autrefois propriété du collectionneur pionnier George Waterman Jr., ex-Dr Gerald Rolph. 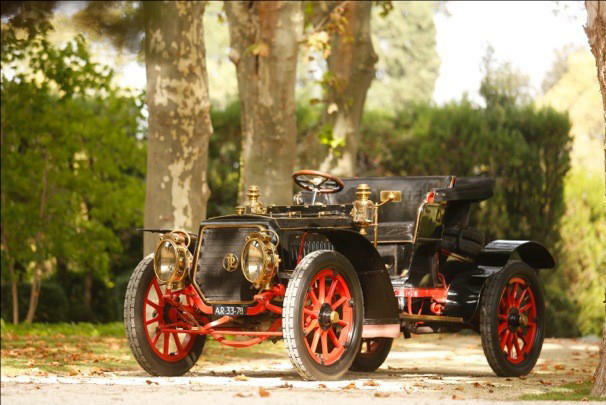 Panhard & Levassor 35 HP Sport quatre cylindres deux places 1904. Carrosserie Labourdette. Sold for €747,500. Boîte de vitesses n° 2373. Photo Bonhams. A Harley-Davidson motorcycle blessed with the signature of Pope Emeritus Benedict XVI (and later received by Pope Francis) was sold in aid of a Polish charity*. The Harley Davidson previously took part in a special countdown to the marques 110th anniversary celebrations, during which the Pope blessed it with a signature. Soaring above estimate, the holiest of Harleys finally sold to a telephone bidder at €46,000 (£34,684) – the winning bidder also purchased the Pope Francis 1,585cc Harley-Davidson Dyna Super Glide, sold at Bonhams Paris auction in 2014. Anciennement propriété de Sa Sainteté le Pape émérite Benoît XVI Vendue à des fins caritatives au profit de Stowarzyszenie Przyjazny Świat Dziecka (Association Amitié du Monde). 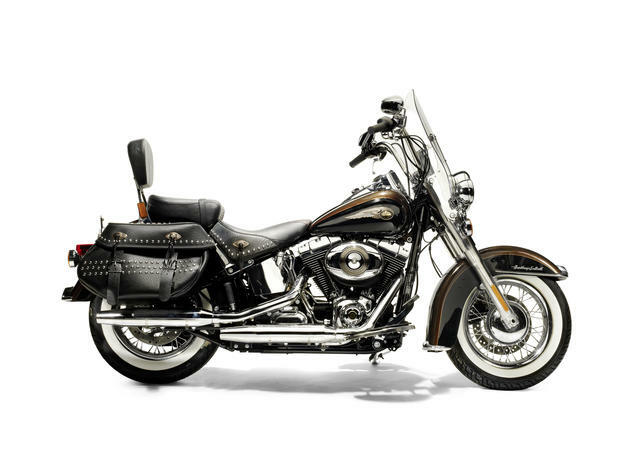 Harley-Davidson 1 690 cm3 FLSTC Heritage Softail Classic 2013. Frame no. *5HD1BWVD4DB013820*. Engine no. *BWVD01320*. Sold for €46,000. Photo Bonhams. 1963 Ferrari 250 GT/L ‘Lusso’ Berlinetta by Scaglietti. Sold for €1.624.000. Photo: Tom Wood ©2015 Courtesy of RM Auctions. PARIS.- RM Auctions returned to Paris last night to stage its second sale in the French capital, selling €19.353.750 worth of automobiles to a packed room of eager enthusiasts. With bids also coming in strongly via the phone desk and on the Internet from 34 countries, 82 percent of all lots were sold on the night with no less than five achieving sums in excess of €1.0 million. 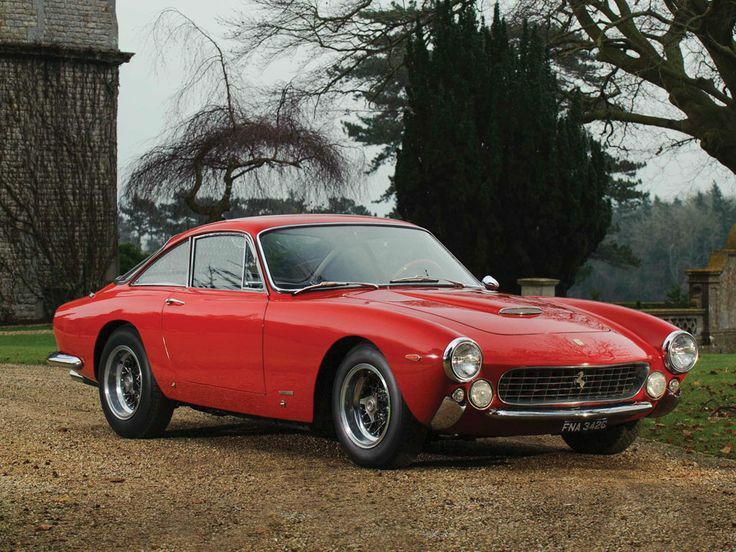 The gorgeous 1963 Ferrari 250 GT/L Lusso Berlinetta, chassis no. 5085 GT, was the night’s top seller, garnering a very strong €1.624.000. The 250 GT/L ‘Lusso’ is considered by many to be the most stylish of all front-engined V12 Ferraris, a view that was supported by the vigorous bidding witnessed in the auction room. 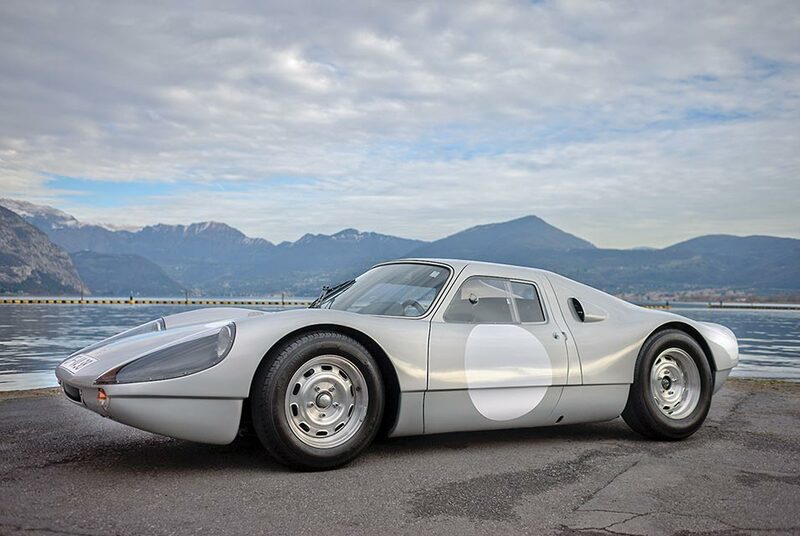 1964 Porsche 904 Carrera GTS. Sold for €1.428.000. Photo: Cymon Taylor ©2015 Courtesy of RM Auctions. 1965 Iso Grifo A3/C Stradale. Sold for €1.036.000. ©2015 Courtesy of RM Auctions. 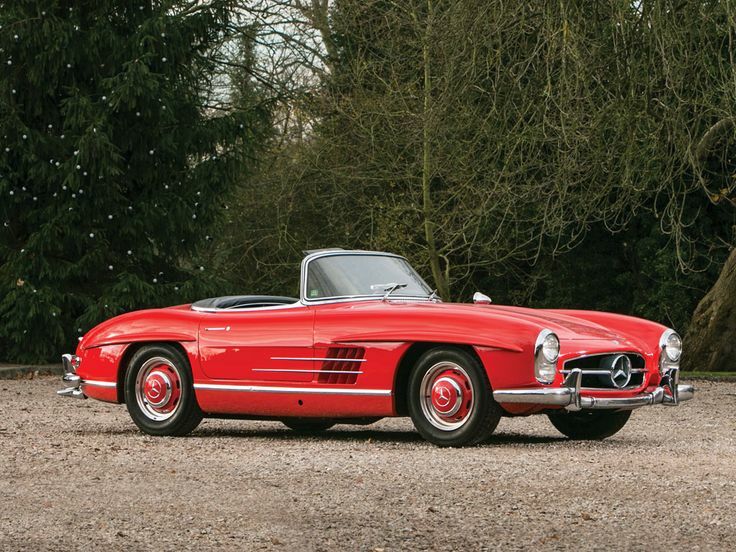 Lot 150 – 1963 Mercedes-Benz 300 SL Roadster. Sold for €1.232.000. ©2015 Courtesy of RM Auctions. 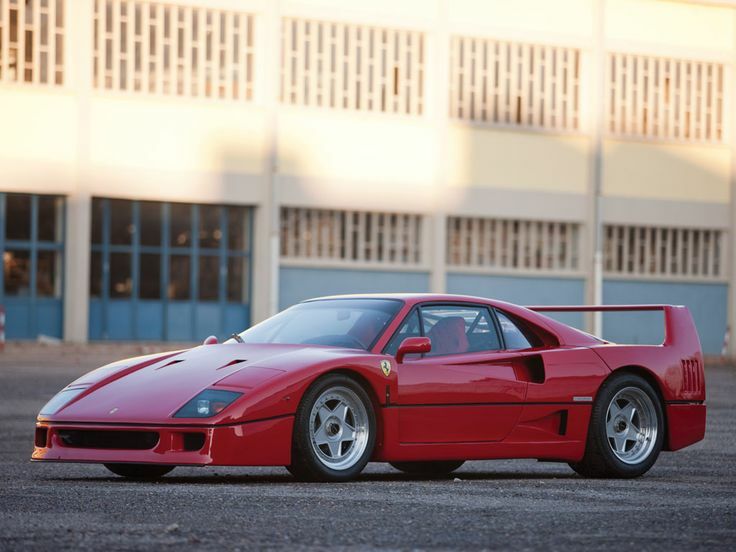 Lot 146 – 1990 Ferrari F40. 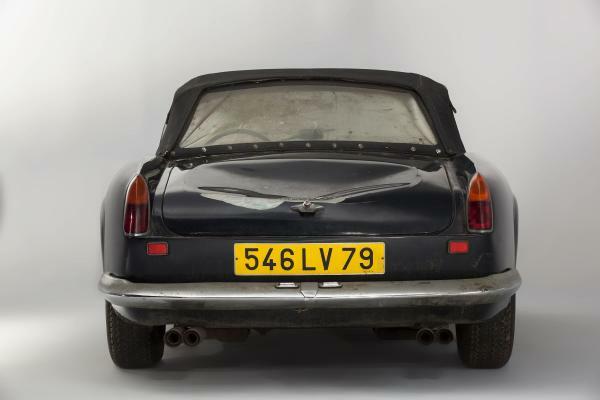 Sold for €1.176.000 ©2015 Courtesy of RM Auctions. Lot 157 – 1965 Iso Grifo A3/C Stradale. 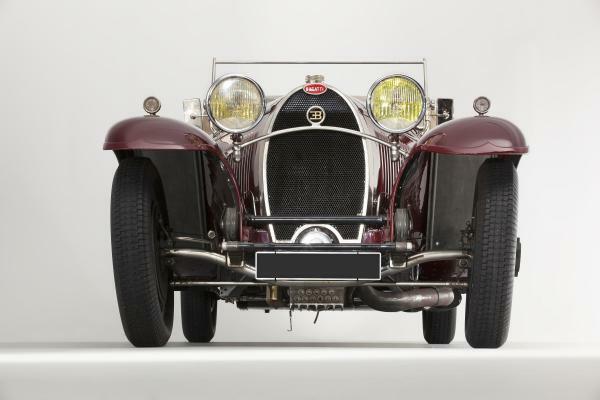 Sold for €1.036.000 ©2015 Courtesy of RM Auctions. 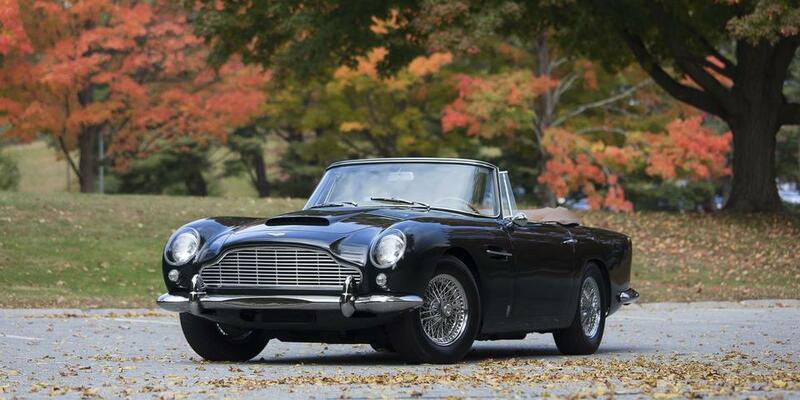 Lot 139 – 1964 Aston Martin DB5. 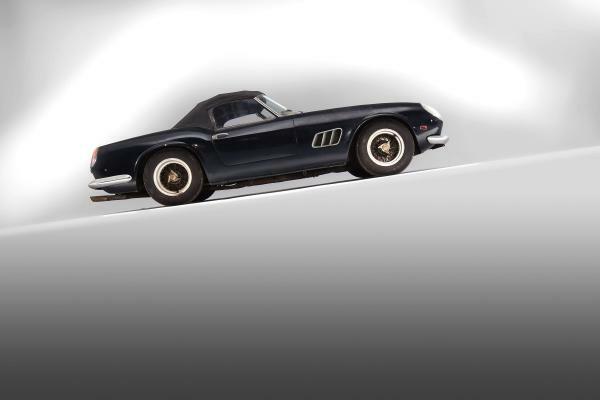 Sold for €840.000 ©2015 Courtesy of RM Auctions. 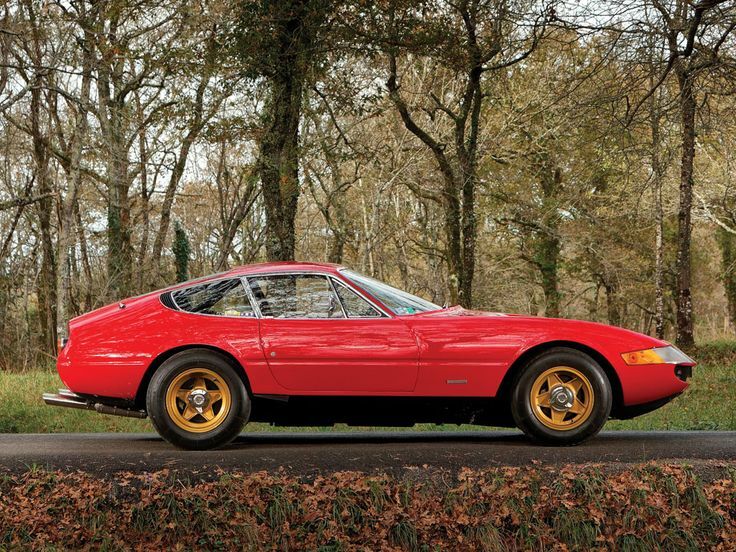 Lot 152 – 1969 Ferrari 365 GTB/4 Daytona Berlinetta by Scaglietti. Sold for €705.600 ©2015 Courtesy of RM Auctions. 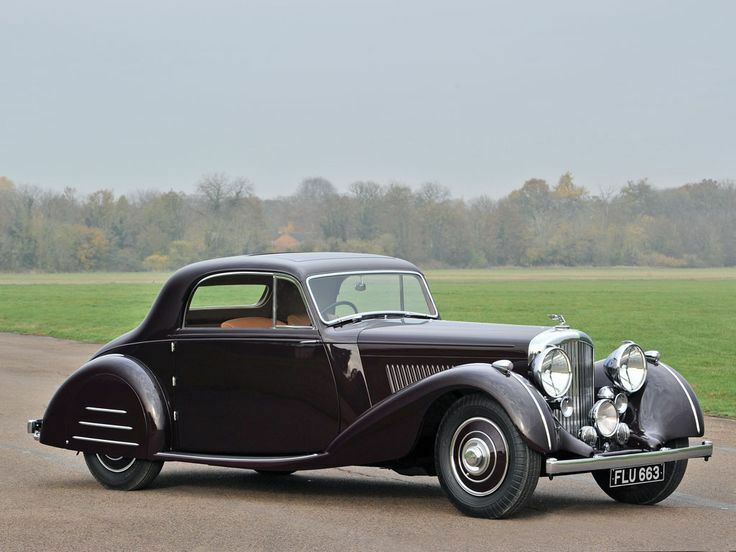 Lot 141 – 1939 Bentley 4¼-Litre Sports Coupé “Honeymoon Express” by Park Ward. 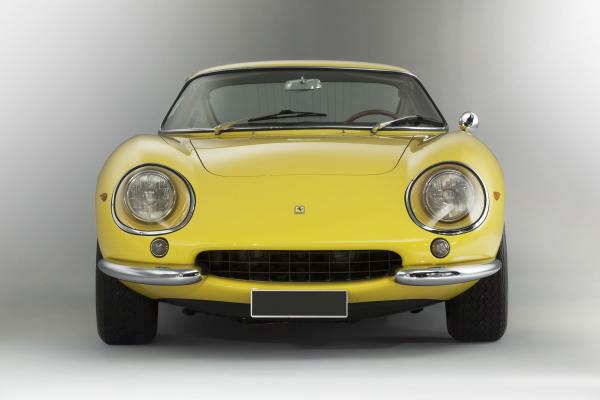 Sold for €672.000 ©2015 Courtesy of RM Auctions. 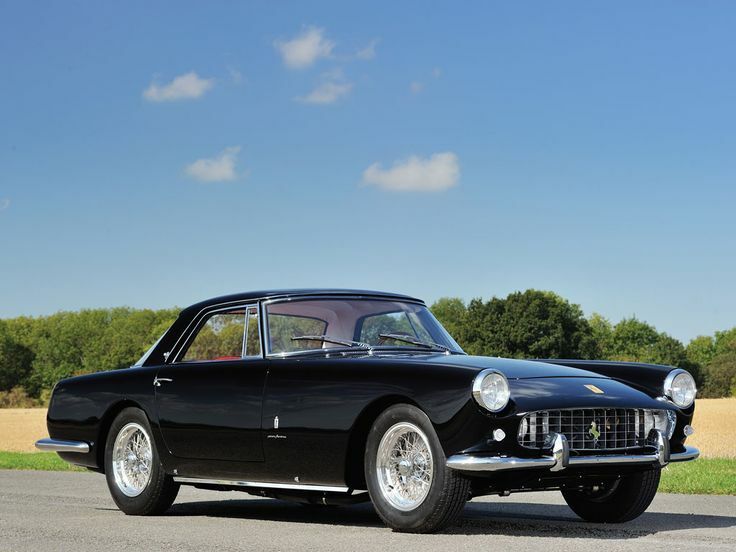 Lot 130 – 1958 Ferrari 250 GT Coupé by Pinin Farina. Sold for €580.000 ©2015 Courtesy of RM Auctions. 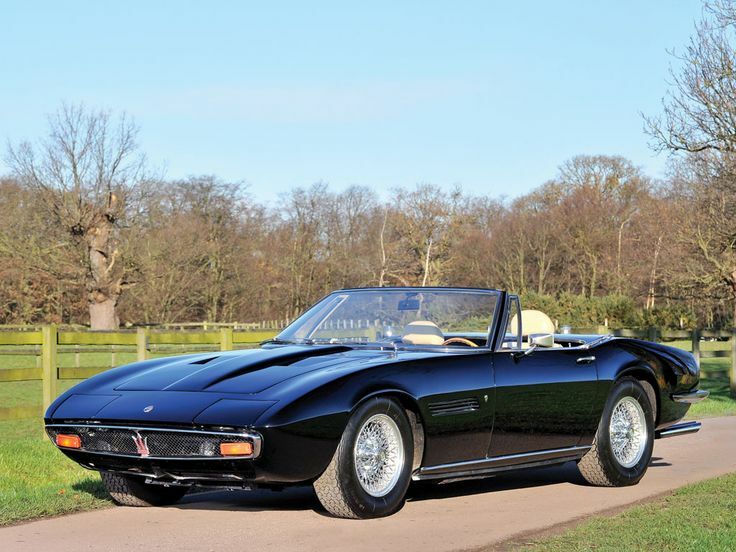 Lot 129 – 1970 Maserati Ghibli 4.7 Spyder. 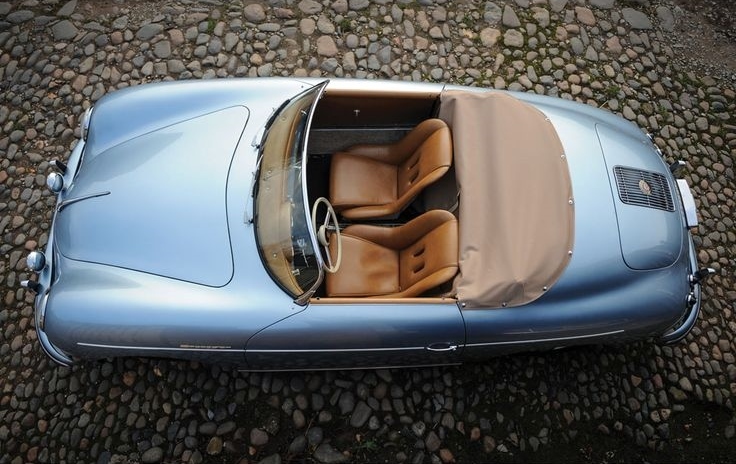 Sold for €550.000 ©2015 Courtesy of RM Auctions. RM Auctions continues its 2015 auction calendar with its well-established Amelia Island sale – the official auction of the esteemed Amelia Island Concours d’Elegance – March 14 in Florida, closely followed by its presentation of the prized Andrews Collection, May 2 in Fort Worth, Texas. The company’s next European sale, Villa Erba, will be held May 23 on the shores of Lake Como, Italy, during the celebrated Concorso d’Eleganza Villa d’Este weekend. A la fin de 1931, l’agent Bugatti parisien Dominique Lamberjack fils, ami et conscrit de Jean Bugatti, fit une demande à l’usine pour avoir la semi-exclusivité des châssis Type 55, 2,3 litres, livrés dans la capitale. Un châssis sur deux devait être livré à Lamberjack et l’autre moitié directement par l’usine aux clients privilégiés. Moyennant le versement de 500 000 francs d’arrhes, il se réservait ce qu’il pensait être un marché intéressant basé sur le nouveau fleuron de la marque alsacienne : » La Super Sport double arbre « . Lamberjack était l’ami intime de Robert de Prandières, le très actif directeur de la carrosserie Vanvooren à Courbevoie. Il fut convenu entre eux que la majorité des châssis Bugatti livrés à la concession Lamberjack du 68 rue Bayen seraient acheminés rue Pierre Lhomme à Courbevoie pour y être carrossés. Parmi les six châssis Bugatti Type 55 livrés à Paris, cinq furent habillés par Vanvooren et un par Figoni. Aucun autre atelier parisien ne se verra confier une des rares Super Sport Type 55. Le châssis 55204 fut le premier des cinq châssis de ce nouveau modèle commandés et payés par Lamberjack entre mars et novembre 1932. La commande semble dater du 8 février 1932. Le châssis fut mis sur wagon et acheminé par chemin de fer au départ de l’usine le 3 mars 1932 avec un Type 49 faux-cabriolet destiné au magasin. 55204 fut facturé à » Lamberjack fils – Paris » pour 72 000 francs. Les quatre châssis suivant du même modèle à destination de Lamberjack furent payés au même prix. Nous avons des photos de ces quatre voitures, toutes carrossées par Vanvooren. Comme convenu avec Prandières, 55204 fut envoyé à la carrosserie Vanvooren à Courbevoie pour recevoir une très jolie caisse cabriolet deux places. Le nom du premier propriétaire ne nous est pas connu avec certitude, mais nous savons qu’il habitait Paris car le numéro d’immatriculation d’origine du véhicule 9762 RF 5 correspond à une plaque du département de la Seine au printemps 1932. Cependant par recoupement, nous savons que d’une part l’auto a appartenu à un amateur surnommé « l’Amiral », selon les dires de Lamberjack fils au propriétaire bourguignon de 1946, et que d’autre part ce même Lamberjack nous confia en 1990 avoir eu dans sa clientèle le fils du général de Constantinovitch, dit « l’Amiral », habitant boulevard Haussmann. Vladimir de Constantinovitch est né à Trieste en juin ou juillet 1879. Son père le général Alexandre de Constantinovitch, apparenté aux Obrenovic, commanda la garde royale de Serbie. Son mariage avec une richissime serbe du nom de Opuich lui permit de disposer d’un grand nombre de domaines en Serbie, et d’un patrimoine immobilier à Trieste. Vladimir vint combattre dans la légion en France lors du conflit de 1914. Versé dans l’aviation en septembre 1916, il fut naturalisé français le 4 de ce même mois en qualité de sous-lieutenant à l’école d’aviation de Pau. Il combattit dans l’escadrille Spa 73 avec son ami Albert Deullin. Sa fiche de membre du personnel au ministère de l’Air en 1916 indiquait comme personnes à prévenir en cas d’accident : une amie parisienne et Sa Majesté la Reine d’Italie… qui était la belle-sœur de sa sœur Nathalie ! Vladimir était sorti de l’école militaire de Belgarde. Il avait épousé une riche américaine, Anne Heyward Cutting, de New York, dont la famille avait fait fortune dans les chemins de fer. Par amour pour elle, cet orthodoxe se convertit au protestantisme. Au décès prématuré de son épouse en novembre 1921, il se remaria avec une française du Nord, se partageant entre son appartement du 170 boulevard Haussmann et son château » La Dûne aux Loups » dans la Somme, et le Touquet Paris – Plage. Vladimir dilapida consciencieusement la fortune familiale, aidé en cela par ses maîtresses Bugatti (37A, 57C) et Hispano (32CV 10403 et un Type Sport 12056). Constantinovitch achetait ses voitures neuves, comme le prouvent les registres de vente Hispano et Bugatti. Il est logique de penser qu’il acheta neuf le châssis 55204, et le fit porter à Courbevoie par l’intermédiaire de son ami Lamberjack. Selon les souvenirs du propriétaire suivant notre 55 était à l’origine de couleur grise à filets bordeaux. A l’occasion de la revente Lamberjack lui parla de » l’Amiral » comme ancien propriétaire de la voiture. Le cabriolet 55204 arriva à Mâcon sans doute au début de l’été 1946. Il circula en plaque garage 6009 W 5 pendant un à deux mois au moins. Le nouveau propriétaire du véhicule était une personnalité du monde de l’automobile lyonnais. Pierre Daligand, à la fois stomatologue et responsable de la concession Renault du Garage Continental de Mâcon. Il vint à la compétition par la moto et le Moto Club Lyonnais (M.C.L.) en 1929, année où il s’essaya avec quelque succès au guidon d’une Magnat-Debon 350 cm3 de série. En 1932, il participa à diverses épreuves dont le Circuit de l’Ain avec une Motosacoche 500 cm3, et c’est en 1934, qu’il passa à l’automobile sur circuit et en rallye. L’année 1936 marqua le début de sa période Bugatti, utilisant successivement un Type 37, un 43 roadster, un faux-cabriolet Type 49 puis un Ventoux. Notre voiture fut engagée dans ce rallye qui était le premier de l’après-guerre en France. Longue de 3 000 à 4 000 km, l’épreuve traversait les Alpes de la France à l’Allemagne par l’Italie, la Suisse, la Yougoslavie et l’Autriche. La difficulté du parcours et les moyennes imposées faisaient que peu de concurrents arrivaient à respecter les temps impartis. Pierre Daligand, au volant de son Type 55, réalisa le meilleur temps de l’épreuve départ arrêté en 34,2 secondes à Annecy. La voiture portait le numéro de course 80, et les plaques minéralogiques de son garage. Elle se comportait très brillamment jusqu’à des ennuis d’alimentation d’essence qui imposèrent son abandon à Saint-Jean-de-Maurienne. Cette compétition fut créée par le Dr. Daligand et sponsorisée par le Casino éponyme. Avec deux collègues du M.C.L, il conçut tout le parcours et le règlement, et déposa son projet auprès de l’Association Sportive de l’A.C.R (Automobile Club du Rhône), en ajoutant » je ne m’en occupe plus et je me déclare concurrent » ! – La première étape de 506 km Lyon-Clermont-Ferrand et retour de nuit sur des routes difficiles. – La seconde de 307 km Lyon-Grenoble-Aix-les-Bains par les cols de Porte, du Cuchero et du Granier, où l’on annonce de la neige. – La dernière le dimanche 23 mars sur 312 km direction Oyonnax et final à Charbonnières, avec une petite course de côte. 51 équipages atteignirent l’arrivée en dépit de la pluie, de la neige et des épreuves nocturnes. Pierre Daligand remporta l’épreuve au volant de sa Bugatti Type 55, et L’Actualité Automobile de mars 1947 relata abondamment l’exploit. L’épreuve se disputait sur 1 050 km, avec un départ traditionnel sur le vieux Port de Marseille et l’arrivée à Cannes. Sur les 61 concurrents au départ sur le vieux Port seuls 27 furent classés. La course fut remportée par Gaston Descollas, concessionnaire Bugatti marseillais habitué des lauriers dans cette épreuve. Il pilotait une autre Bugatti Type 55, numéro de course 112 et châssis 55201. Pierre Daligand, numéro de course 111, était en tête au début de l’épreuve mais il éclata un pneu à l’entrée d’un pont et là s’arrêta la carrière sportive de notre bolide. La voiture fut revendue sans doute début 1948 » à des petits jeunes du Beaujolais » (sic) selon les termes exacts de Pierre Daligand rapportés par son fils Gilles, lesquels ne mirent jamais la Bugatti à leur nom. La voiture est revendue le 12 juin 1958 et immatriculée sous le numéro 6271 AX 69. Bernard Roche était un original qui, de la vallée du Rhône à la Dordogne passait de château en château à la recherche de trésors et collectionnait les Bugatti et autres voitures des Années Folles. Dans son château de Fénelon en Dordogne, il cachait une Bugatti huit soupapes, un Type 44 et un Type 49. Il se souvenait du Type 55 » revendu à des gens de Paris, complète, avec ses roues aluminium, pour la somme de 150 000 anciens francs. » Pour une raison inconnue, le Type 55 ne fut immatriculé à son nom qu’en 1958 alors que la voiture est déjà physiquement chez son propriétaire suivant, Monsieur Liandier, depuis avril 1955. Il doit s’agir d’une régularisation… très tardive. Mais les faits et les photos le prouvent. 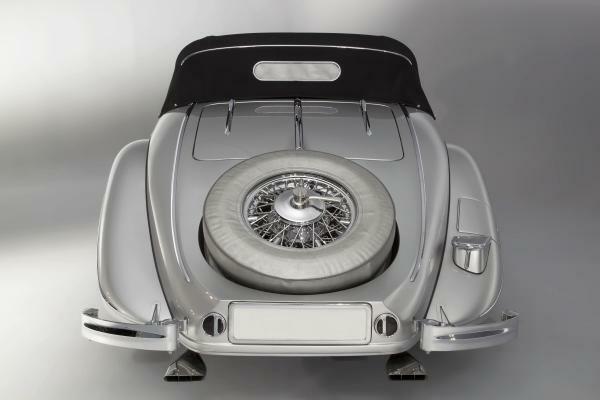 Depuis au moins 1955, le cabriolet 55204 circulait avec la carte grise du coupé 55202 et inversement. Or, l’inspection du faux-cabriolet Jean Bugatti Type 55 ex-Michel Bouyer, au Musée de Mulhouse, et du cabriolet ex Pierre Daligand chez C. Robert en 1986 ne laisse aucun doute sur l’identité des deux véhicules. La voiture de Mulhouse est le châssis 55202 avec toute sa mécanique et sa caisse d’origine, coupé Jean Bugatti. Seuls deux chiffres 55204 ont été regravés au dessus du 55202 d’origine sur le moteur, et la plaque châssis de 55204 est vissée sur la cloison pare-feu, cette opération ayant pour but de mettre la voiture en conformité avec la carte grise 55204 que Pierre Proust avait mise à son nom le 3 juillet 1958 sous le numéro 5838 HD 75. Ainsi, les deux voitures s’étaient retrouvées dans le garage de Pierre Proust au 41 rue Racine. Dans cet antre dédié aux Bugatti officiait Henri Novo, transfuge du garage Teillac. Nous connaissons une photo du coupé 55202 avec la plaque 5392 CL 75. Elle correspond à la carte grise : » Bugatti Type 55 CI 2 places châssis 55202 « . Bientôt, cette plaque et les papiers correspondant passèrent sur 55204. Cette carte grise fut mise au nom de Pierre Proust le 11 février 1954. Pierre Daligand se souvenait avoir revu son auto » sous des ferrailles » dans ce garage à cette période. Il est à noter que les notes de réparations d’Henri Novo relatent une première intervention sur le Type 55 à l’époque de l’immatriculation par Proust. – Le 15 janvier 1954 : » Type 55 Liandier, dégroupé, changé les pistons, refaire les plans de joints. « . – Puis le 25 octobre 1954 : » 55 Liandier, vilebrequin révisé par l’usine. Cylindres 60m/m5 de hauteur piston « . Né d’un père rentier et d’une mère professeur de dessin, le jeune Maurice baignait dès sa jeunesse dans un milieu privilégié. Il eu toute sa vie des Bugatti dès les années 1920, à son retour de la Grande Guerre dont il revint avec la Médaille Militaire et la Légion d’Honneur. Il s’inscrivit aux Beaux Arts mais fit carrière comme responsable de l’entretien dans les usines de pelleteries de la maison » C et E Chapal Frères et Cie, Teinturerie de Pelleterie et Fourrures « . Son père avait vendu des terrains à Montreuil, rue Kleber, où » Chapal » construisit une de ses nombreuses usines. Maurice habita à Sens, au 20 boulevard du 14 juillet, près d’une des cinq usines françaises et fut responsable de la mécanique au sein du groupe. Jean Bardinon, ancien aviateur, avait épousé une fille Chapal. Il était le parrain de José, le fils de Maurice Liandier, et le père du grand collectionneur Pierre Bardinon. Liandier était un bugattiste de longue date car il possédait avant-guerre un Type 35 Grand Prix de Lyon 1924 et un Type 30 Indianapolis. Liandier conserva son Type 55 pendant près de dix ans. Il fut révisé chez Teillac par Novo en 1954-1955 comme noté dans les archives de ce dernier. Liandier ramèna sa Bugatti dans sa propriété » L’ Escapado » achetée à Chateauneuf-de-Grasse en 1962. Elle y voisine un Type 57 habillé d’une caisse de coupé Simca 5. 1 – un chèque de francs 10 000, représentant la somme comptant que j’avais proposé de te verser et que tu as acceptée – à valoir sur les 20 000 Francs correspondant au prix d’achat total de la Bugatti 55. 2 – un billet à ordre, accepté par ma femme et par moi-même, de Frs. 5 000, à échéance du 31 décembre 1966. 3 – un billet à ordre… à échéance du 31 décembre 1967. La Bugatti 55204, fatiguée mais complète, fit ainsi le chemin de retour de Grasse à Paris au printemps 1965. Pierre Bardinon demanda par la suite à Henri Novo de prélever le moteur double arbre pour le mettre dans un châssis Grand Prix d’origine, non identifié, que lui assembla le mécanicien en 1965. Depuis cette période, le moteur ex 55204 est dans la » Type 51 » ex-Bardinon, ex-Frédéric Chandon de Briailles, aujourd’hui conservé dans une collection française. Le châssis 55204, sans moteur, propriété de Pierre Bardinon, resta chez Novo en attendant une résurrection. Celle-ci se produisit 40 ans plus tard. Il était un habitué du garage Novo, à qui il acheta un châssis de Type 57 qui traînait à Montrouge, et sans doute dans la même période le châssis 55204. Nous avons pu examiner le Type 55 dans le sous-sol de sa villa de Nogent, vers 1986. La voiture était telle qu’abandonnée par Bardinon chez Novo en 1965. Tous les éléments mécaniques étaient encore sur le véhicule : l’essieu avant, la boîte de vitesse et le pont arrière étaient, et sont encore, ceux d’origine. Le cadre est sans conteste celui de 55204. La partie centrale, en tôle, vestige de la caisse Vanvooren, tout comme les boiseries coupées derrière le siège, rappelaient le beau cabriolet deux places qui fut modifié par Daligand en 1947. Nous avions confié à Charles Robert des photos de son cabriolet dans sa configuration d’origine et, fort justement, il décida de refaire une caisse munie de portes, dans le style de la carrosserie de 1932. Charles Robert a beaucoup roulé avec ses Bugatti et autres Ferrari. Dans l’optique de participer avec son épouse à de nombreux rallyes, il demanda à Laurent Rondoni de construire une mécanique performante et fiable pour équiper 55204, car il trouvait que les moteurs 55 manquaient un peu de puissance… Le célèbre motoriste, patron des ateliers » Ventoux Moteurs » à Carpentras, donna naissance à un moteur très compétitif, développant une puissance de près de 200 chevaux. Durant la restauration Charles Robert y passait des semaines de » stage « , embauchait le matin à 8 heures en bleu de travail et secondant Rondoni dans les travaux. Jean-Luc Bonnefoy réalisa une caisse cabriolet dans le style exact d’un modèle 1932. Le moteur neuf fut donc monté et mis au point par Laurent Rondoni qui restaura entièrement la voiture à partir du châssis. Il n’existe pas de meilleure garantie ! Charles Robert vit le moteur achevé mais hélas il disparu avant d’éprouver la satisfaction de le voir gravir à toute allure le Mont Ventoux pour son premier galop d’essai. Cette sublime Bugatti 55, à l’historique exceptionnel, est donc à roder ! Elle se rapproche en tous points de sa configuration d’origine version Vanvooren 1932, et ne demande qu’à reprendre la route de la Coupe des Alpes ou du Rallye Lyon-Charbonnières dont elle fut la première victorieuse. Towards the end of 1931, the Parisian Bugatti agent Dominique Lamberjack junior, the friend and contemporary of Jean Bugatti, asked the factory for the semi-exclusive rights to all 2.3-litre Type 55 chassis delivered to the capital. Every second chassis would be delivered to Lamberjack, with the others going directly from the factory to private clients. For a deposit of 500 000 francs, he reserved for himself what he thought would be an attractive market for the Alsatian marque’s new flagship model : » The Super Sport twin cam « . Lamberjack confided to the author that in March 1932, as he had not taken delivery of any chassis, despite the first five clients having received their cars, he called the factory and was told by the accountant that Ettore Bugatti, as soon as he’d got the money in his pocket, had gone to an auction sale and squandered nearly all of it on tapestries. The accounts were back in order by the end of March 1932… Lamberjack was a close friend of Robert de Prandières, the dynamic director of the coachbuilding firm Vanvooren in Courbevoie. They agreed between themselves that the majority of the Bugatti chassis delivered to the Lamberjack dealership of 68 rue Bayen would be dispatched to rue Pierre Lhomme in Courbevoie to be bodied. Of the six Bugatti Type 55 chassis delivered to Paris, five were bodied by Vanvooren and one by Figoni. No other Parisian workshop would lay their hands on one of these rare Super Sport Type 55s. Chassis 55204 was the first of five chassis of this new model ordered and paid for by Lamberjack between March and November 1932. The order appears to have been dated 8 February 1932. The chassis was loaded and transported by train from the factory on 3 March 1932 with a Type 49 faux-cabriolet destined for the showroom. 55204 was billed to » Lamberjack fils – Paris » for 72 000 francs. The four other chassis of the same model destined for Lamberjack were all the same price. We have photos of these four cars, all bodied by Vanvooren. As arranged with Prandières, 55204 was sent to the Vanvooren workshop in Courbevoie to be given a very pretty two-seater cabriolet body. We are not certain of the name of the first owner, but we know that he lived in Paris because the original registration number for the car was 9762 RF 5 , corresponding to the department of Seine in spring 1932. However, cross-checking has allowed us to ascertain that the car belonged to an enthusiast known as » The Admiral « , as told by Lamberjack Jr to the owner from Burgundy in 1946. The same Lamberjack confided to us in 1990 that one of his clients was the son of General de Constantinovitch, known as » The Admiral « , who lived on Boulevard Haussmann. Vladimir de Constantinovitch was born in Trieste in June or July 1879. His father, the General Alexandre de Constantinovitch, related to the Obrenovic dynasty, was in charge of the Serbian Royal Guard. His marriage to a wealthy Serbian by the name of Opuich made large areas of Serbia available to him, as well as a family home in Trieste. Vladimir fought in the Legion in France during the 1914 conflict. Assigned to the air force in September 1916, he became naturalized in France on 4 September as a second lieutenant in the aviation school in Pau. He fought in the 73 Spa squadron with his friend Albert Deullin. In the staff records for the Air Ministry in 1916, Vladimir’s contacts in case of an accident were listed as a friend in Paris and Her Majesty, the Queen of Italy…who was the sister-in-law of his sister Nathalie ! Vladimir had graduated from the military school in Belgrade. He married a wealthy American, Anne Heyward Cutting, from New York, whose family had made their fortune in the railroad business. Through his love for her, he converted to Protestantism. Following the premature death of his wife in November 1921, he remarried a French woman from the North, and they moved between her apartment at 170 boulevard Haussmann and his château » La Dûne aux Loups » in la Somme, and le Touquet Paris – Plage. Vladimir conscientiously frittered away the family fortune, aided by his mistresses, Bugatti (37A, 57C) Hispano (32CV 10403 and a Type Sport 12056). Constantinovitch bought his cars new, as evidenced in the Hispano and Bugatti sales registers. It is logical to assume that he bought chassis 55204 new and had the car transported to Courbevoie by his friend Lamberjack. The subsequent owner recalls that our 55 was originally grey with burgundy stripes. At the time it was sold to him, Lamberjack spoke of » The Admiral » as the previous owner of the car. The cabriolet 55204 arrived in Mâcon at the start of summer 1946. It was driven around on the garage plates 6009 W 5 for at least one or two months. The new owner was a personality from the motoring world in Lyon. Pierre Daligand, was a dental surgeon and also the manager of the Renault dealership Garage Continental in Mâcon. He started racing motorcycles with the Moto Club Lyonnais (M.C.L.) in 1929, having some success that year on a Magnat-Debon 350 cm3 . In 1932 he took part in various races including at the Ain circuit on a Motosacoche 500 cm3 . It was not until 1936 that he turned his hand to racing motor cars, both on the circuit and in rallies. The year 1936 marked the start of his Bugatti period, driving in turn a Type 37, a 43 roadster, a faux-cabriolet Type 49 followed by a Ventoux. Our car took part in this rally, the first held in France after the war. Covering 3 000 to 4 000 km, the trial crossed the French Alps to Germany, travelling through Italy, Switzerland, Yugoslavia and Austria. The difficulty of the course and the time restrictions meant that few competitors were able to finish having kept to the rules. Pierre Daligand, at the wheel of his Type 55, recorded the best time of 34.2 seconds for a start-stop trial in Annecy. The car wore the race number 80, and the number plates of his garage. It performed brilliantly until fuel-supply problems forced its retirement at Saint-Jean-de-Maurienne. This competition was set up by Dr. Daligand and sponsored by the eponymous Casino. With two colleagues from the M.C.L., he devised the route and the regulations, and advertised his project with the Association Sportive de l’A.C.R (Automobile Club du Rhône), adding » I am no longer involved and declare myself a competitor » ! – The first 506 km stage was Lyon-Clermont-Ferrand and back at night on difficult roads. – The second stage was 307 km Lyon-Grenoble-Aix-les-Bains through the Porte, Cuchero and Granier passes, where snow was forecast. – The final 312 km stage on Sunday 23 March towards Oyonnax and on to Charbonnières, with a small hillclimb en route. 51 teams arrived at the finish despite the rain, snow and nocturnal trials. Pierre Daligand won the race at the wheel of his Bugatti Type 55, and the March 1947 edition of L’Actualité Automobile produced an extensive report on the event. The event took place over 1 050 km, with the traditional start at the Vieux Port in Marseille and finishing at Cannes. Of the 61 competitors who lined up to start at the Vieux Port, just 27 were classified. The race was won by Gaston Descollas, the Bugatti dealer from Marseille, who was accustomed to receiving laurels at this event. He drove a different Bugatti Type 55, with racing number 112 and chassis 55201. Pierre Daligand, race number 111, was leading at the start but burst a tyre approaching a bridge which put an end to the sporting career of our car. The car was sold at the start of 1948 » to some youngsters from Beaujolais » (sic) in the words of Pierre Daligard as recounted by his son Gilles, who never put the Bugatti in their name. The car was sold again on 12 June 1958 and registered with the number 6271 AX 69. Bernard Roche was an eccentric character who travelled from the Rhône valley to the Dordogne, from château to château, searching for treasures. He collected Bugatti and other cars from the 1920s. 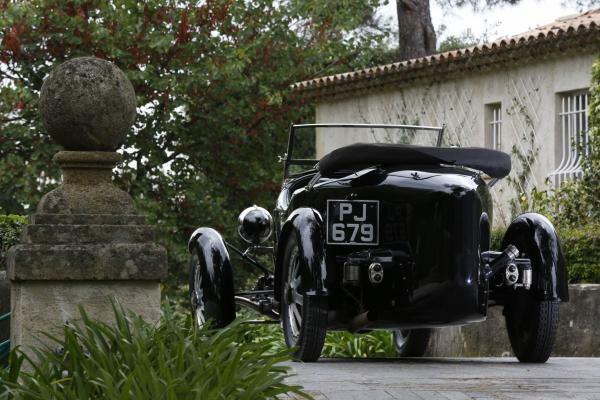 In his château de Fénelon in Dordogne, he had an eight-valve Bugatti, a Type 44 and a Type 49 tucked away. He remembers the Type 55 » sold to some people from Paris, complete, with its aluminium wheels, for the sum of 150 000 old francs. 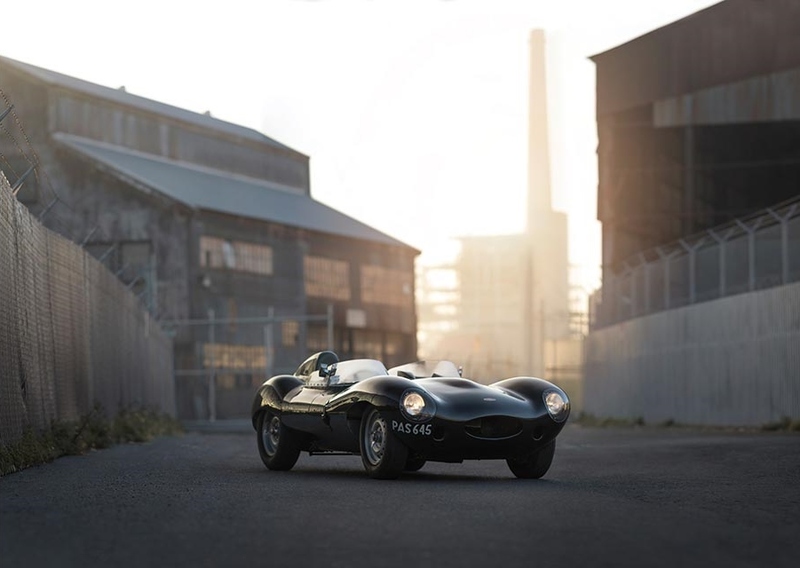 » For some unknown reason, the Type 55 was only registered in his name in 1958 although the car had already been with its next owner, Monsieur Liandier, since April 1955. It must have been a rather belated case of regularisation… which the facts and photos confirm. Mulhouse museum, and the ex-Pierre Daligand cabriolet belonging to C. Robert in 1986 leaves no room for doubt about the identity of the two vehicles. 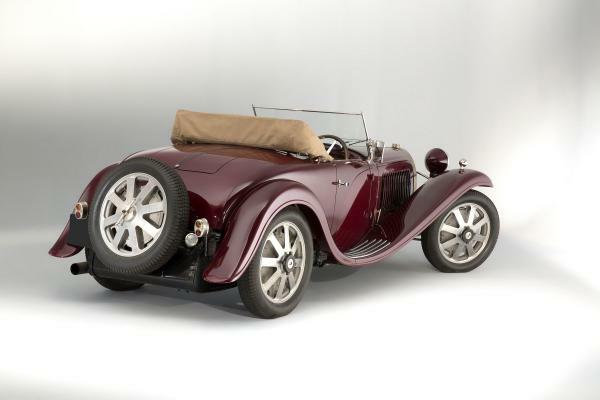 The Mulhouse car is chassis 55202, complete with its original engine and body, coupé Jean Bugatti. Just two numbers 55204 were re-engraved over the original 55202 on the engine, and the chassis plate for 55204 was screwed onto the firewall, an operation carried out to make the car conform to the registration document 55204 that Pierre Proust had put in his name on 3 July 1958 with the number 5838 HD 75. And so, both cars found themselves in Pierre Proust’s garage on 41 rue Racine, a cavern dedicated to Bugatti, where Henri Novo, a defector from the Teillac garage, was in charge. We know of a photo of the coupé 55202 with the number plate 5392 CL 75. 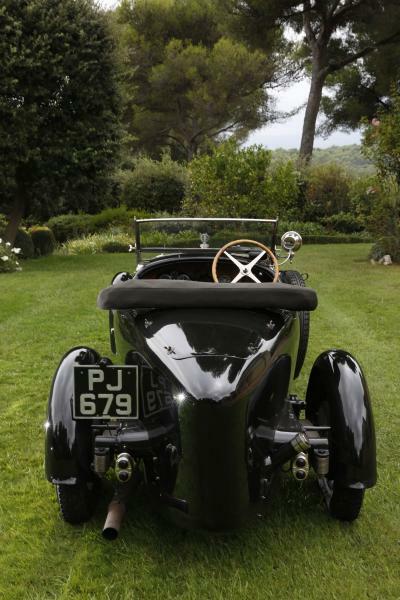 This corresponds to the registration document : » Bugatti Type 55 CI 2 places châssis 55202 « . A little later, this number and the corresponding paperwork was passed to 55204. The registration document was put in the name of Pierre Proust on 11 February 1954. Pierre Daligand remembered seeing his car » under a pile of scrap metal » in this garage during this period. – 15 January 1954 : » Type 55 Liandier, dismantled, changed the pistons, the seals to replace. « . – Then on 25 October 1954 : » 55 Liandier, crankshaft serviced by the factory. Cylinders 60m/m5 piston height « . Born to a father of independent means and a mother who taught art, the young Maurice, had always lived in a privileged environment. He had a string of Bugattis, from the 1920s through to his return from the Second World War, from which he returned with the Médaille Militaire and the Légion d’Honneur. He enrolled to study Fine Art but took on a career managing the fur factories for the company » C et E Chapal Frères et Cie, Teinturerie de Pelleterie et Fourrures « . His father had sold land in Montreuil, in rue Kleber, where » Chapal » had built one of its many factories, Maurice lived in Sen, at 20 boulevard du 14 juillet, near one of the five French factories and was responsible for the company’s machinery. Jean Bardinon, a former pilot, had married a Chapal daughter. He was the godfather of José, Maurice Liandier’s son, and the father of the great collector Pierre Bardinon. Liandier was a long-standing Bugattiste, having owned a 1924 Type 35 Grand Prix de Lyon and a Type 30 Indianapolis, before the war. Liandier kept his Type 55 for nearly ten years. It was serviced by Novo at Teillac in 1954-1955, as noted in the latter’s records. 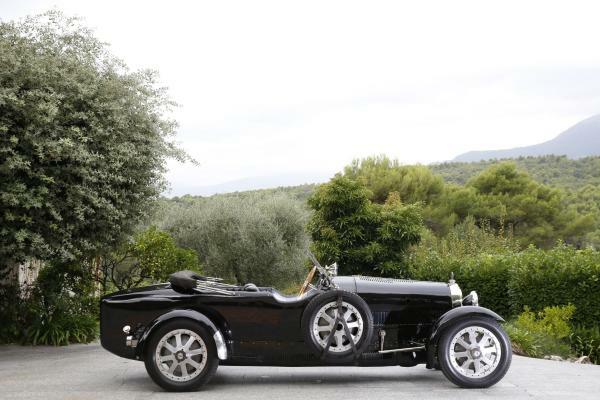 Liandier took his Bugatti to his property » L’ Escapado » that he bought in Chateauneuf-de-Grasse in 1962. The car was parked there next to a Type 57 with a Simca 5 coupé body. The vehicle was sold on 9 June 1965 to Pierre Bardinon, the famous French collector who, in Mas du Clos in Limousin, was a tireless collector of the most important Ferrari in the history of motor racing as well as models of key sporting marques like Bugatti. Monsieur Liandier’s son has photos of the car and the invoice addressed to Pierre Bardinon. It was indeed the old Vanvooren cabriolet 55204, in its 1947 Lyon-Charbonnières configuration. 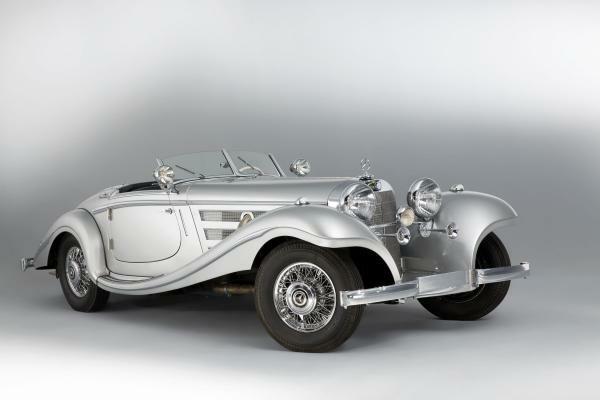 1938 Mercedes Benz 540 K "Spezial Roadster long tail"
Lorsqu’elle est présentée au Salon de Paris 1936, la Mercedes 540 K est l’aboutissement de deux modèles qui lui ont en quelque sorte servi de banc d’essai : la 380 et la 500 K. La 380, présentée en 1933, bénéficie des travaux de Hans Nibel, ingénieur qui a mis au point quelques redoutables modèles de compétition. Ainsi, la nouvelle Mercedes bénéficie d’une suspension particulièrement évoluée, à doubles triangles à l’avant et essieu brisé à l’arrière, le tout supporté par des ressorts hélicoïdaux. Ces caractéristiques lui permettent d’offrir un comportement routier extrêmement sûr et confortable même sur mauvais revêtement, ce que salue la presse d’époque. Côté moteur, la 380 arbore un nouveau huit-cylindres culbuté, avec un compresseur en option. 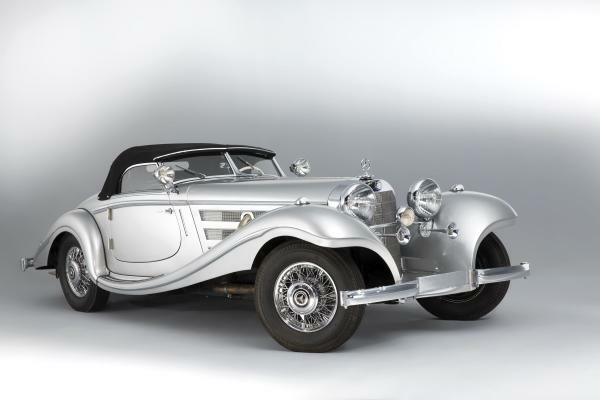 Il manque toutefois un peu de puissance pour faire oublier les fameuses S et SS que cette voiture est censée remplacer, si bien que Mercedes lance dès 1934 une version plus étoffée, la 500 K. Son huit-cylindres en ligne présente la particularité d’un compresseur débrayable : lorsqu’elle est appuyée à fond, la pédale d’accélérateur commande un petit embrayage qui entraîne le compresseur, tout en ouvrant un dispositif d’enrichissement de carburant. Ainsi, la puissance augmente de façon significative en fonction des besoins du conducteur. C’est le même système qui est retenu deux ans plus tard sur la 540 K, plus puissante encore. Son moteur 5,4 litres délivre 180 ch à 3 400 tr/mn lorsque le compresseur est enclenché, ce qui permet à cette considérable automobile d’atteindre 170 km/h, grâce à une boîte quatre rapports. Pour l’époque, c’est remarquable, et surtout cette vitesse est obtenue dans un confort et une sécurité qui sont déjà les marques de fabrique de Mercedes. La finition de la voiture est évidemment à la hauteur de son standing et plusieurs carrosseries sont disponibles en cabriolet, roadster ou coupé. Mais la plus impressionnante est alors la version Spezial Roadster. Voiture symbolisant l’âge d’or du classicisme automobile dans sa forme la plus prestigieuse, la 540 K est en plus d’une grande rareté puisqu’à peine plus de 400 exemplaires ont vu le jour entre 1936 et 1939. D’après sa fiche d’usine, la Mercedes 540 K de la vente a été commandée par M. Maurice Zamaria, de Jaffa, sous la forme d’un cabriolet B. Selon son propriétaire, elle aurait été récupérée en Allemagne au lendemain de la deuxième Guerre Mondiale, carrosserie détruite par les bombardements. Il est donc probable qu’elle n’ait pas eu le temps de rejoindre Jaffa avant le début des hostilités. En 2004/2005, elle était dans l’atelier de restauration de Franz Prahl, en Allemagne, qui en a assuré la reconstruction sous la forme d’un Spezial Roadster. La carrosserie a été fabriquée selon les plans de l’usine et ce, jusque dans les moindres détails. Il s’agit d’une réalisation sans limite de coût. Il est impossible même pour un connaisseur de faire la différence avec une véritable Spezial Roadster, sauf peut-être le prix. En 2006, elle intégrera la magnifique collection Rosso Bianco, à Aschaffenburg, en Bavière. Extrêmement charismatique dans sa couleur gris métallisé avec intérieur en cuir noir, cette Mercedes présente la forme la plus spectaculaire de ce modèle, avec ses deux places dans une carrosserie extravagante, et son arrière effilé d’une rare élégance, que l’on appelle » queue longue « . Elle est toujours équipée de son moteur d’origine et représente l’opportunité d’acquérir une des Mercedes les plus prestigieuses de la production de la marque à l’étoile. 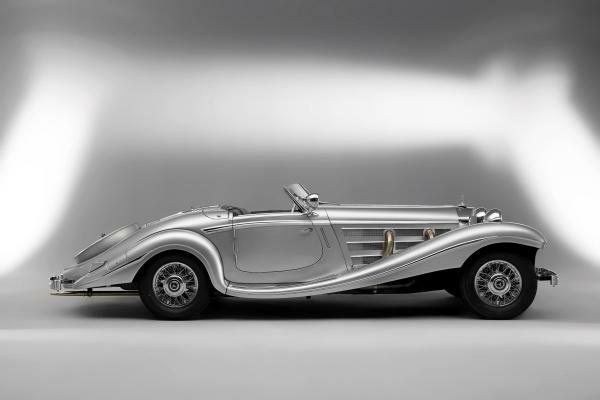 The Mercedes 540 K, presented at the Paris Motor Show in 1936, derived from two models that effectively served as its forerunners: the 380 and the 500 K. The 380, unveiled in 1933, was created by the gifted engineer Hans Nibel, a man responsible for several superb racing cars. This new Mercedes boasted an advanced suspension system, with triangular wishbones to the front and swing-axles at the rear, all supported by coil springs. This made it extremely safe and comfortable to drive, even on poor surfaces – a feat warmly saluted by the press at the time. The 380 had an eight-cylinder engine with a supercharger as option, but was slightly lacking in power when compared to the famous S and SS it was meant to replace. So, in 1934, Mercedes launched the sturdier 500 K, whose eight-cylinder in-line engine came with a clutch-operated supercharger: pushing the accelerator to the floor engaged a train of gears that drove the booster and fuel enrichment, and enabled the driver to command sudden bursts of power. The same system was used two years later on the even more powerful 540 K, whose 5.4-litre engine delivered 180hp at 3,400rpm when the compressor was engaged – enabling this enormous car with its four-speed gearbox to top a remarkable 170 km/h, with the comfort and safety that were already Mercedes hallmarks. The car’s finish was suitably magnificent. 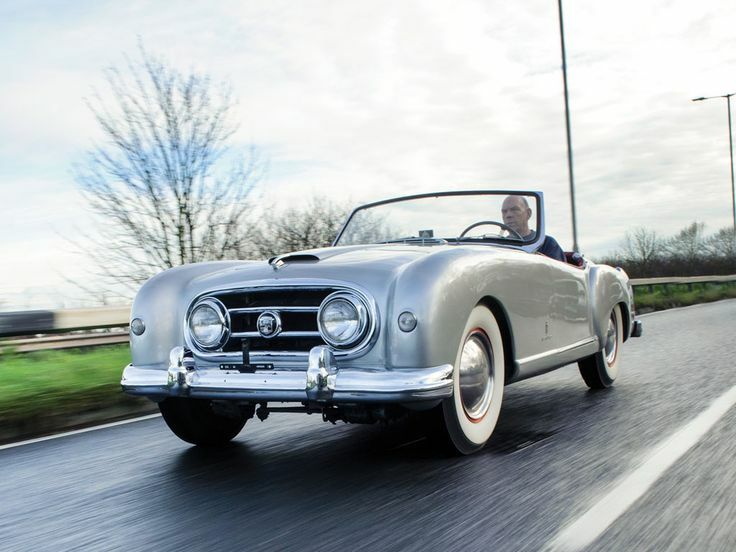 Various body styles were available – Cabriolet, Roadster, Coupé and, most impressive of all, the Spezial Roadster. As the most prestigious embodiment of the Golden Age of classic car-making, the 540 K is extremely rare: barely more than 400 were produced (between 1936-39). According to factory records, our Mercedes 540 K was ordered by Maurice Zamaria of Jaffa as a Cabriolet B. 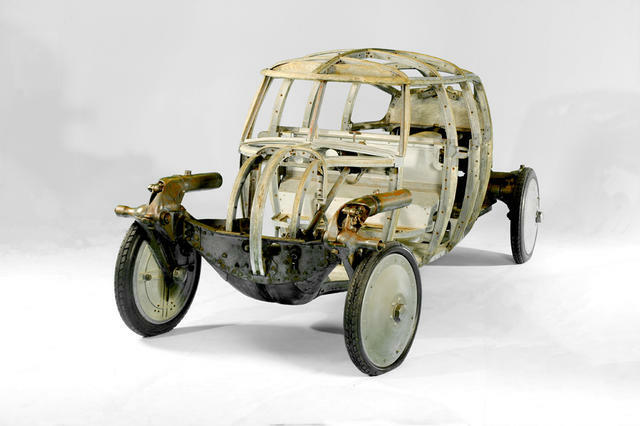 The current owner says it was recovered from Germany just after World War II, the coachwork having been destroyed by bombing. It is therefore unlikely that it reached Jaffa before the outbreak of hostilities. In 2004/5 it was in the Franz Prahl Klassische Automobile workshop near Osnabrück to be reconstructed as a Spezial Roadster, with new coachwork based on factory plans down to the finest detail – and money no object. 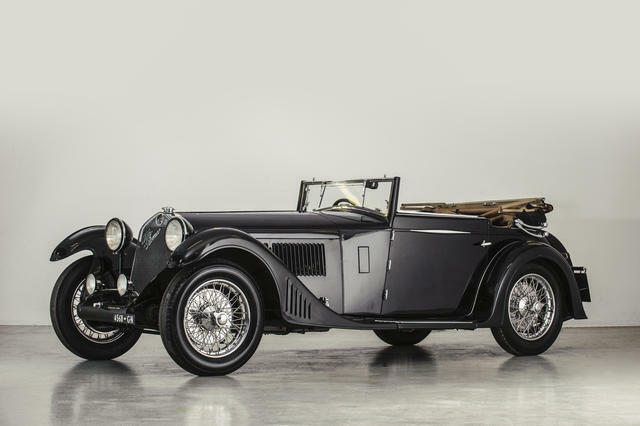 Without checking the price, it would be impossible for even a connoisseur to tell the difference between this car and a veritable Spezial Roadster. In 2006 it joined the magnificent Rosso Bianco Collection at Aschaffenburg in Bavaria. With its seductive metallic grey livery, black leather interior, extravagant coachwork and exquisitely elegant, tapering ‘long tail’ rear, our two-seater Mercedes embodies the 540 K at its most spectacular. 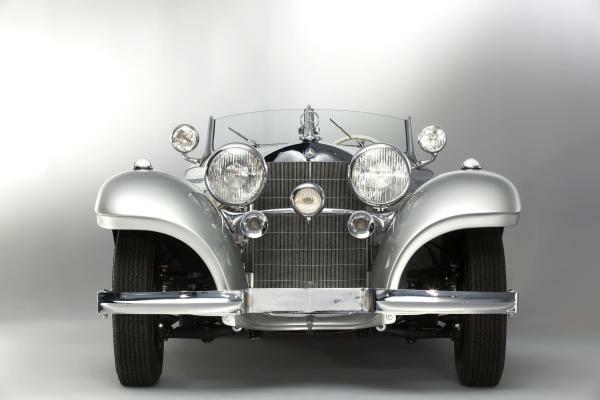 Still with its original engine, it offers the chance to acquire one of the most prestigious Mercedes ever made. Lorsque Bugatti présente en mars 1927 à la presse son nouveau modèle 2,3 litres Grand Sport, il affiche des performances avec lesquelles aucune voiture ne peut rivaliser. Ce brillant torpédo comporte un châssis spécial de 2,97 m d’empattement, cintré comme celui d’une Bugatti Grand Prix et doté du moteur de la Type 35B sortie en septembre 1926. La vente des premières Type 43 est contemporaine des premières et rares Type 35B et, de 1927 à 1930, exactement 160 exemplaires sortent des ateliers. Parmi les premières voitures produites, en mars 1927, quatre exemplaires sont commandés par l’agent londonien, le Colonel Sorel, pour son magasin d’exposition « Bugatti Automobiles » de Brixton Road, à Londres. La revue « The Autocar » du 18 mars 1927 laisse entendre que « Bugatti va proposer à la clientèle une vraie voiture de sport, équipée enfin d’un compresseur, équipement réservé jusqu’alors aux seules voitures de course ! La voiture est une évolution des modèles qui ont remporté la Targa Florio en 1926. » Dans son article, le journaliste anglais confie revenir de Molsheim où Ettore Bugatti l’a emmené pour un essai dans la campagne alsacienne. Le « Patron » a arrêté le moteur, enclenché la quatrième et actionné le démarreur… La voiture s’est alors mise à accélérer rapidement jusqu’à 140 km/h, sans changer de vitesse. L’essai s’est poursuivi au pied des montagnes vosgiennes, en empruntant parfois des chemins peu carrossables sur lesquels la suspension a montré toutes ses qualités. Cet article est dû sans doute au journaliste WF Bradley, correspondant européen de la revue et futur biographe d’Ettore Bugatti. En décembre 1926, les premiers moteurs sortent de l’atelier de montage et sept voitures sont assemblées avant la fin de l’année. La production atteint au printemps 1927 un rythme de 7 à 10 voitures par mois et, à la fin de l’année, 80 voitures sont sur la route, soit déjà la moitié de la production totale. En 1928, plus de 60 exemplaires sont fabriqués, les 15 derniers sortant des ateliers avant avril 1929. La commercialisation ne se fera pas de façon aussi linéaire et de nombreux exemplaires invendus encombreront les ateliers de l’usine à partir de 1930. Mais, au début de 1927, le modèle se vend très bien. Le prix de vente des Type 43 est très élevé, mais ne correspond jamais à celui qu’affiche le catalogue, soit 165 000 francs. Ainsi, en 1927, les Type 43 GS sont livrés au magasin de Paris pour 107 500 francs l’unité, le représentant de New York déboursant quant à lui 115 484 francs. Pour le dépôt de Brixton road, le prix est de 82 280 francs et tombe même à 76 266 francs début 1928, alors que l’agent italien verse 90 000 francs et un client français privé 97 500 francs. Les voitures châssis 43168 à 43171 sont toutes indiquées « W. Sorel 28/1 », les chiffres correspondant sans doute à la date de commande. Pour ces mêmes voitures, les facturations sont notées en date du 27/04/1928. Pour déterminer si la Bugatti châssis 43171 correspond à celle du capitaine Malcolm Campbell au Tourist Trophy du 18 août 1928, comme l’indiquent les historiens anglais, il convient de dresser la liste des Bugatti Type 43 livrées en Grande-Bretagne avant cette date, d’étudier leur histoire, puis d’éliminer celles qui sont déjà attribuées à un propriétaire ou qui ne sont pas disponibles. Le marché anglais des Bugatti est très actif depuis le début des années 1920, et la concession du colonel Sorel à Brixton Road couvre un vaste marché qui s’étend jusqu’à l’Australie. Le châssis 43169 sera livré Outre-Manche en janvier 1928. De très nombreuses voitures de la marque s’alignent déjà sur les circuits anglais où les compétitions sur route ouverte ont été interdites peu de temps après la course Paris-Madrid de 1903. C’est ainsi que Brooklands, premier circuit au monde doté d’un anneau de vitesse, est construit en 1907. – 43188/26 le 04/08/1927 pour Lord Howe (immatriculation YT 8241). – 43189/29 à la même date (immatriculation KO 5128). Il est dit que Lord Howe utilise pour la première fois en course sa 2,3 litres, châssis 43188, lors de l’épreuve des Six Heures d’Essex courue à Brooklands le 12 mai 1928. Dans cette même course, Malcolm Campbell pilote également une Type 43, qui est une voiture neuve : le châssis 43171 de la vente. En effet, il est clair que la voiture avec laquelle M. Campbell inaugure sa saison de course le 12 mai 1928, ne peut être ni 43178 ni 43179, livrées dix jours plus tard. Il est donc très clair que cette voiture est celle qu’il conduit au Tourist Trophy au mois d’août. Des photos de 43189, 43168 et 43170 (la voiture d’essai de Howe), avec leurs spécificités et plaques d’immatriculation respectives, existent et montrent bien qu’elles ne sont pas la voiture de Campbell au TT de 1928. Il ne reste plus qu’une prétendante donc, la voiture châssis 43171, étant la Bugatti 2,3 litres du Recordman du Monde de vitesse, Malcolm Campbell, à avoir été utilisée par lui en course et en essai sur l’anneau de Brooklands où il dirige un garage, « Brooklands Motor Co ». Au début de 1928, M. Campbell vient de battre le record du Monde de vitesse sur la piste de Daytona Beach en Floride. Le 19 février, au volant de sa Bluebird équipée d’un nouveau moteur de 900 ch, il a porté le record à 332,992 km/h. De 1931 à 1935, il bat chaque année ce record sur la piste de Floride et sa Bluebird II atteint 395 km/h en février 1931, jusqu’à établir un record à 482 km/h en septembre 1935. Entre deux tentatives, il s’affiche régulièrement au volant de Bugatti en catégorie course ou sport, souvent dans la classe 1 500 cm3. Le domicile privé de Campbell est alors situé Byron House,7-9 St-Jame’s street, London SW 1. Lors de la course inaugurale des Six Heures d’Essex, le 12 mai 1928, deux Type 43 sont engagées. Elles sont décrites comme » les torpédos quatre places à compresseur les plus rapides des engagés, avec la Mercedes de Miller « . Les Bugatti tiennent une vitesse tellement élevée qu’elles sont les premières à rentrer au stand pour replier leur capote règlementaire. Lord Howe abandonne rapidement sur ennui de magnéto, et Campbell perd un temps considérable lors d’un changement de roue. Après quatre heures de course, il se retire sur problème de pression d’essence. Il s’agit vraisemblablement de la première course de 43171 sur le sol anglais. Le R.A.C Tourist Trophy se déroule le 18 août 1928 sur le circuit des Ards, près de Belfast. Lord Howe se déplace avec ses deux Bugatti Type 43 pour l’occasion : la voiture immatriculée PH 9397(43170) est utilisée pour les essais et 43188 (YT 8241) participe à la course sous le numéro 50. La Bugatti de M. Campbell, 43171, ne semble pas porter de plaque minéralogique, mais elle affiche le numéro de course 49. Toutes les autres Bugatti Type 43 anglaises en course portent des plaques minéralogiques dès leur première apparition. Lorsqu’il sera dit plus loin que 43171 a été immatriculée pour la première fois en 1931, c’est une hypothèse tout à fait plausible si elle a été considérée dès le début comme voiture de garage. Le troisième torpédo Type 43, numéro 48, est engagé par Léo d’Erlanger et piloté par Louis Dutilleux, de l’usine. Lors du ravitaillement de la 2,3 litres de Campbell, le réservoir prend feu et ne tarde pas à exploser. Tout l’arrière brûle et fond complètement, ainsi que les roues en aluminium. Les commissaires et mécaniciens ne peuvent rien contre l’incendie dont la chaleur devient insupportable. Cette voiture est alors la seule à disposer d’une pointe arrière tronquée comportant un réceptacle pour une roue de secours disposée verticalement. Cet aménagement est bien visible sur certaines vues de l’arrière, lors de l’incendie. Il semble que la jambe de force en acier ait résisté au sinistre, car le pont arrière actuel de la voiture, châssis 43171, est du Type 44, mais la jambe de force numéro 61 correspond bien au numéro du pont d’origine. La course du TT va s’avérer un désastre pour les deux autres Bugatti Type 43 : celle de Lord Howe est en tête et roule à près de 160 km/h quand son réservoir prend feu à son tour, forçant le pilote à l’abandon. De son côté, Dutilleux pilote une voiture envoyée par Molsheim à Léo d’Erlanger, le baron banquier impliqué dans l’agence Bugatti londonienne. Son réservoir prend feu également et, après avoir réussi à éteindre les flammes, le pilote reprend la course, finissant vaillamment neuvième de l’épreuve. Malcolm Campbell participera à d’autres courses en 1929, mais plus au volant de son Type 43. » BROOKLANDS MOTOR CO offers Bugatti late 1929, 2.000- 3.000 cc model, ready for road or track ; this car is capable of 110 m.p.h., and was raced by Sir Malcolm Campbell, cost over £ 1.000, our price £ 375. Exchanges, deferred. 414 Euston Rd. N.W.1 » Si ce n’était l’année de fabrication du véhicule, qui peut avoir été rajeunie, la description et la période de vente correspondent bien à la remise en circulation de 43171. WM Faulkner réside alors au Corner Cottage à Thames Ditton, dans le comté de Surrey. La Bugatti semble immatriculée pour la première fois à son nom, le 7 octobre 1931, sous le numéro PJ 679. Faulkner l’engage sans succès lors d’un meeting du B.A.R.C, le » troisième Mountain Handicap « , à Brooklands en août 1931. Au quatrième tour, il heurte les barrières à Fork, répète l’incident au dixième tour et abandonne. À Pâques 1932, il remporte le » Norfolk Lightning Mountain Handicap » sur ce même circuit. La voiture, de couleur bleue, a été pour l’occasion délestée de ses ailes, de ses phares et du pare-brise. L’échappement a été réorienté sur le coté du passager, et non plus sous le véhicule. Une photo de Faulkner à la course de côte de Chalfont organisée à St-Peter par les propriétaires de Bugatti, le 21 mai 1932, montre la voiture en configuration d’origine, roue de secours côté conducteur, mais il n’est pas possible de distinguer si une échancrure existe au niveau de la portière, comme au TT. La plaque minéralogique PJ 679 est bien visible.L’histoire de la voiture ne nous est pas connue en 1933, mais il est possible qu’elle soit déjà remisée dans les garages de Leslie Bachelier à Wimbledon (Wimbledon Engineering Company). Bachelier est tombé sous le charme de sa première Type 43 en 1929, châssis 43161/ 37 (immatriculation GJ 53), et l’a gardée pendant quatre ans. Il a possédé également 43168 en 1934, 43171 en 1932 et en 1936, 43179 en 1933 et 1935 et 43189. Il entretient de nombreuses Bugatti pour des clients comme Peter Hampton. Dans le numéro de Bugantics de mai 1937, CWP Hampton, grand amateur de Bugatti, relate l’achat du véhicule auprès de Bachelier, en février 1934 : Bachelier l’emmène faire un galop d’essai, à grande vitesse, de cette Type 43 ex-Campbell. Hampton, conquis, achète la voiture après avoir deux ans plus tôt résisté à la tentation lors d’un premier essai d’une machine identique, que ses finances ne lui permettaient pas encore d’acquérir. Dans cet article de 1937, Hampton mentionne que la voiture, en état d’origine, a pu atteindre 108 mph (173 km/h) sans effort, lors de sa première sortie sur route mouillée, avant que la magnéto ne rende l’âme. Après 1 000 km d’usage, la caisse est restaurée et repeinte en bleu, la voiture recevant aussi un nouvel intérieur et une capote neuve. Le tableau de bord d’origine est remplacé : Hampton étant coutumier du fait, nous pouvons supposer qu’il réalise une planche, moderne à son goût, aux multiples cadrans. Les pignonneries de pont et de boîte sont remplacées et la carrosserie reçoit de longues ailes dans le style du roadster Type 55. Une photo de 1934, côté conducteur, laisse entrevoir l’échancrure de la porte, qui ne date pas de la période course mais qui a été commandée par Hampton, comme il le relate dans « Motor Sport » de mars 1943. Lors du » J.C.C High Speed Trial « , le 30 juin 1934 à Brooklands, Hampton remporte sa catégorie. Son meilleur résultat reste sa victoire de classe dans le meeting du J.C.C à Donington, au mois d’août de la même année. L’entretien de la voiture est confié à Bachelier, qui installe en mai 1935 un carburateur Zenith plus performant qui, associé à un taux de compression augmenté, va transformer les performances de la 2,3 litres. Après avoir parcouru plus de 16 000 km au volant de cette voiture, Hampton la revend en 1936 à L. Bachelier, lorsqu’il se porte acquéreur d’un roadster Type 55 qui répond alors à son plus grand désir. Nous ne connaissons pas l’histoire de la voiture après 1936 et sans doute jusqu’au début de la guerre, époque où elle doit être acquise par Brian Finglass. Ils sont notés ci-dessous en caractères gras, mais certaines dates ne correspondent pas aux vraies dates d’achat : il s’agit des dates de mise en circulation. Deux propriétaires manquent sur ce logbook et sont ajoutés avec les commentaires. – 04/07/1947 – Brian Finglass, 2 Pembridge Mews, Notting Hill Gate London W 11. Il est fort probable que Finglass ait acheté la voiture juste avant la guerre ou au début de celle-ci car d’autres Bugatti dont une Type 51 sont entre ses mains vers 1943. La date du 8 juillet 1947 correspond sans doute à la date de revente par lui, avec immatriculation juste avant la cession. – 08/07/1947 – Humphrey Owen, J, St Ann’s Vicarage, Wandsworth, London SW 18. – 24/10/1947 – William Walter Deane, 1A Grenville Place, London SW 7. – 30/06/1948 – Chipstead Motors Ltd, 8 Gaspar Mews, Courtfield Gardens, SW 5. – 10/09/1948 – William Arthur Mitchell, Dormer’s Farm, Bletchingley, Surrey. – 24/10/1969 – Dr James Rodger Mirrey, Leachim Heights Redhill Common, Surrey. En fait, la Bugatti est achetée en 1959 à KJ Richardson, Burrows Croft, Burrows Cross, Gomshall, Surrey, puis vendue en octobre 1960 au Dr JR Mirrey. En effet, dans une lettre en réponse à un amateur américain, début novembre 1960, Richardson indique avoir juste vendu sa voiture le 30 octobre pour la somme de 600 £. Il précise qu’elle était parfaitement d’origine sauf un radiateur et un essieu avant chromés, un réservoir d’essence plus grand que la normale et un tableau de bord modifié. Il indique avoir restauré le moteur, le châssis, les essieux et les freins. La carrosserie a été décapée et mise en apprêt. Le Dr JR Mirrey va reprendre et terminer entre 1963 et 1969 les travaux de restauration débutés par Richardson, et ne mettra les papiers à son nom que lorsque la voiture sera utilisable, en 1969. Mirrey confie la tache à un garage local du nom de « Plaistow Garage Ltd », à Lingfield (Surrey), dirigé par l’ingénieur David Brown. Celui-ci revoit toute la mécanique, mais il fait aussi restaurer le soubassement de la caisse et réaliser une nouvelle cloison pare-feu et un tableau de bord en acajou. Le vilebrequin est révisé par un spécialiste du nom de David Woods, à Belfast, et le châssis contrôlé par David Brown, qui restaure à l’époque sa propre Type 43. Ensuite, vers octobre 1982, la voiture est acquise par G. Perfect qui a répondu à une annonce placée par Mirrey dans « Motor Sport », vers juillet 1982. Il en informe alors le B.O.C. – 05/07/1983 – Geoffrey William Perfect, Glen More, Penn, Bucks. Quelques années après son achat, Geoffrey Perfect confie à l’atelier « AB Price Ltd », à Studley dans le Warwickshire, le soin de réaliser entre 1989 et 1991 les travaux utiles, dont un nouveau faisceau de radiateur et des blocs moteurs neufs. Entre 1993 et 1995, le propriétaire décide d’entreprendre une restauration totale du véhicule qui est alors confié au spécialiste Ivan Dutton. Le châssis est redressé, un carter moteur est réparé, un nouveau réservoir est fabriqué. Sur le plan cosmétique, notons que l’arrière de la caisse, ainsi que le soubassement, sont refaits comme à l’origine. En cours de restauration, la voiture est cédée à l’automne 1995 à Nicolaus Springer qui poursuit les travaux, dont la réalisation du tableau de bord actuel. Plus de 100 000 £ sont dépensées pour obtenir une restauration totale de la voiture, terminée en été 1997. En août 2000, la voiture est proposée à la vente par le négociant suisse Lukas Huni et, en 2001, elle est cédée à son propriétaire actuel. En mai 2014, nous avons pu réaliser une analyse détaillée de cette Bugatti. Elle a révélé que la quasi totalité des pièces mécaniques, sauf les pièces d’usure, étaient d’origine et provenaient bien de la voiture châssis 43171 à moteur 63. Le cadre du châssis est original et porte gravé, à l’envers comme attendu, le nombre 62. La jambe de force porte sur sa face supérieure le numéro du pont d’origine 61. Le pont arrière est numéroté 475. Le rapport de pont, gravé sur la face supérieure du carter de pont, est 12 X 50, correct pour un Type 44 de tourisme. Mais l’ajustage monté par Ivan Dutton est de 14 X 54. Il pourrait s’agir, avec une forte probabilité, du pont provenant de la voiture châssis 44738 à moteur 475, livrée à W. Sorel le 7 décembre 1928. Dans ce cas, il faut penser que cette pièce n’a pas pu être incorporée à la voiture avant quelques années d’utilisation de la 3 Litres et son démontage partiel pour servir de banque de pièces détachées. Il est peu probable que ce pont ait été incorporé dans la 43 du temps de Campbell, sauf si 44738 lui fut livrée neuve. Le corps de la boite de vitesse et son couvercle sont gravés 63. Ce moteur est assemblé à l’usine le 25 octobre 1927, selon le cahier de fabrication des moteurs type 43. Le carter inférieur moteur porte sur sa patte avant gauche le numéro du moteur 63. Le numéro de châssis 43171 est gravé dans le parfait style de l’usine sur la patte arrière gauche. Les deux carters moteurs portent le même numéro d’assemblage 14S. Ils forment bien une paire et sont d’origine avec 43171. Les faces antérieures de la boîte à cames et du bloc sont gravées 63. Le compresseur est numéroté 66, sans aucun doute celui d’origine. L’essieu avant est du bon modèle, sans doute ancien mais aucun numéro n’est visible sur cette pièce qui fut sans doute polie et chromée plusieurs fois et sur laquelle le numéro est toujours gravé beaucoup plus fin que sur les autres pièces. Le tableau de bord est conforme au modèle. Il a été remplacé plusieurs fois au cours de la vie de la voiture, au gré des goûts des propriétaires successifs. Les deux cloisons pare-feu sont de facture récente. La plaque châssis date des années 1960. La partie centrale de la caisse est ancienne. La pointe arrière, une grande partie du soubassement et le capot sont de facture récente. Les roues sont modernes et correspondent au modèle 1930, en une seule partie. La Bugatti Type 43 a toujours eu la faveur des vrais amateurs, des spécialistes et historiens. Le grand Hugh Conway ne jurait que par elle et en a possédé deux. Ce modèle combine en effet toutes les qualités recherchées dans une Bugatti : son moteur de course est directement issu du type 35B aux multiples victoires ; son châssis cintré de 2,97 m d’empattement lui est spécifique ; sa caisse Grand Sport avec 3 à 4 places sous capote, dotée de bonnes suspensions, en fait une auto pour les longues distances et idéale pour les rallyes. Le modèle est rare, ce qui le rend d’autant plus désirable. Parmi les 15 voitures livrées en Angleterre en 1927 et 1928, seules huit ont survécu et, parmi elles, seules trois voitures sont encore équipées de leur moteur d’origine. Il s’agit de 43159, 43171 et 43179, dont le carter inférieur a été remplacé. Les voitures châssis 43160 – 43169 – 43214 – 43238 et 43239 ont perdu leur moteur au fil des courses et des accidents. La voiture châssis 43171 a côtoyé dans sa prime jeunesse les plus grands pilotes anglais : Malcolm Campbell et Lord Howe. Elle est celle utilisée par Campbell au TT de 1928 car de toutes les prétendantes,à ce titre, elle est la seule pour laquelle aucun argument négatif n’a pu être trouvé. Par élimination dans une liste qui comporte peu de voitures, elle se retrouve donc seule dans la lumière des projecteurs braqués par les historiens. Elle a vécu la création du Bugatti Owners Club en 1929, participé aux courses de côte de Chalfont, Prescott, Shelsley et autres fameuses épreuves britanniques. Elle a connu les grandes heures de Brooklands jusqu’à sa fermeture en 1939. Préservée pendant les hostilités, sans doute aux bons soins de Brian Finglass, elle est ensuite passée entre les mains de vrais passionnés qui, chacun leur tour, vont la préserver en engageant plusieurs restaurations, jusqu’à la dernière intervention du spécialiste réputé Ivan Dutton. Tous ont compris le rare joyau qu’ils avaient entre les mains. La voiture, telle que proposée aujourd’hui à la vente, possède encore évidemment son châssis, sa mécanique d’origine quasi complète, la partie avant de sa carrosserie, sa boîte de vitesse originale, ce qui est rarissime pour ce modèle Grand Sport qui fut utilisé en compétition pendant toutes les années d’avant-guerre. Il s’agit ici d’une des Bugatti 43 les plus originales, à l’historique limpide et à la provenance et à l’histoire des plus valorisantes. 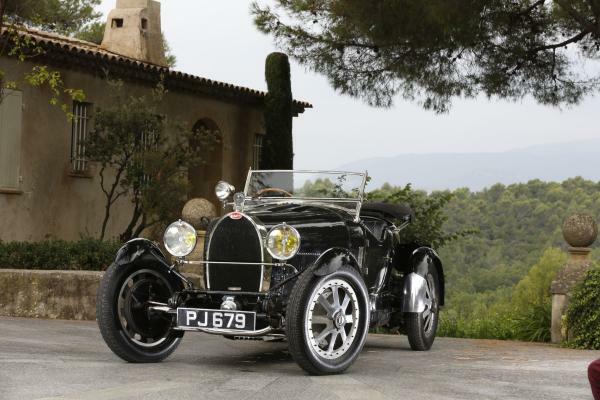 When Bugatti presented its new 2.3-litre Grand Sport model to the press in March 1927, it boasted performance no other car could match. This brilliant torpedo-bodied car had a special chassis with a 2.97 m wheelbase, curved like the Grand Prix Bugattis, and with the Type 35B engine. Sales of the first Type 43s were contemporary with the rare, early Type 35B model, and between 1927 and 1930, exactly 160 examples left the workshops. Amongst the first cars produced, in March 1927, were four examples ordered by the London agent, Colonel Sorel, for his showroom » Bugatti Automobiles » on the Brixton Road in London. » The Autocar » on 18 March 1927 suggested that » Bugatti will offer its clientèle a genuine Sports car, fitted with a supercharger – equipment reserved for racing cars until now ! 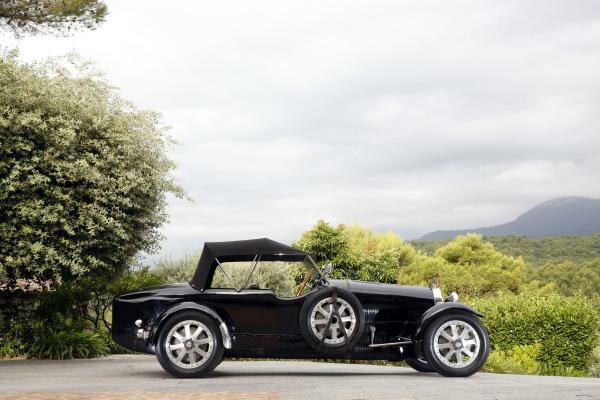 The car is an evolution of the model that won the Targa Florio in 1926 « . 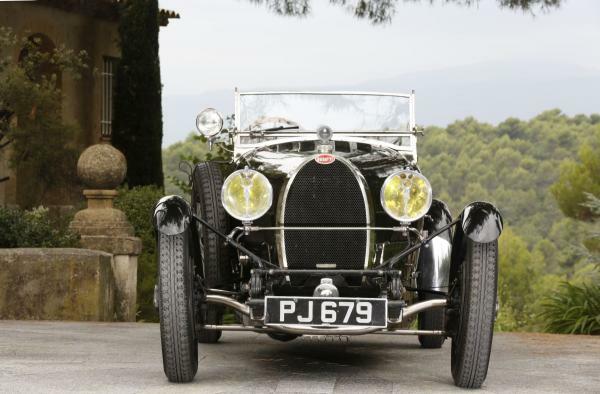 In his article, the English journalist revealed that he had travelled to Molsheim where Ettore Bugatti had taken him for a test drive in the Alsace countryside. » Le Patron » stopped the engine, engaged fourth gear and pressed the starter…The car proceeded to accelerate rapidly to 140 km/h, without a change of gear. The test drive continued through the foothills of the Vosges mountains, crossing scarcely passable roads that showed all the qualities of the suspension. This article is believed to have been written by the journalist WF Bradley, the magazine’s European correspondent and Ettore Bugatti’s future biographer. In December 1926, the first engines left the assembly workshop and seven cars were built before the end of the year. By the spring of 1927, production had settled at 7 – 10 cars a month, with some 80 cars – half the total production – on the road by the end of 1927.In 1928, over 60 examples were built, with the last 15 leaving the workshop before April 1929. The sales did not follow such a straight line, with unsold examples taking up space in the factory workshops from 1930. However, the model sold very well, early in 1927. The sale price of the Type 43 was very high, although it never corresponded to the listed price in the catalogue of 165 000 francs. 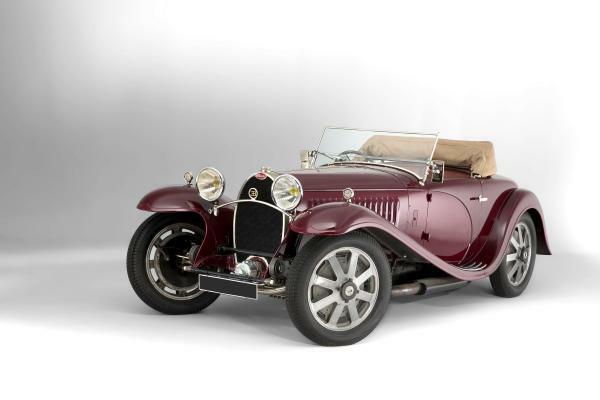 In 1927, examples of the Type 43 GS were delivered to the Paris showroom for 107 500 francs each, and the cost to the New York dealer was 115 484 francs. For the Brixton Road depot, the price was 82 280 francs and even fell to 76 266 francs at the start of 1928, while the Italian agent paid 90 000 francs and a private French client 97 500 francs. » 28/1. W. Sorel. G .S. 43171. 63. 11.4.28 » The cars with chassis numbers 43168 to 43171 are all recorded with « W. Sorel 28/1 », with the number undoubtedly referring to the order date. For these same cars, the invoices are noted with the date 27/04/1928.To determine whether the Bugatti chassis 43171 corresponds to that driven by Captain Malcolm Campbell in the Tourist Trophy on 18 August 1928, as indicated by British historians, it is necessary to consult the list of Bugatti Type 43s delivered to Great Britain before this date, to study their histories and eliminate those already assigned an owner or not available. From the early 1920s, the market for Bugatti was very strong in England, and the agent Colonel Sorel of Brixton Road covered a vast market that extended as far as Australia. Chassis 43169 crossed the Channel and was delivered in January 1928. There were numerous cars of this marque already competing on English circuits, open-road racing having been banned soon after the 1903 Paris-Madrid race. Brooklands, the world’s first purpose built speed circuit, was opened in 1907. – 43188/26 on 04/08/1927 for Lord Howe (registration YT 8241). – 43189/29 on the same date (registration KO 5128). It has been said that Lord Howe first raced his 2.3-litre car, chassis 43188, in the Essex Six Hours at Brooklands on 12 May 1928. In this same race, Malcolm Campbell also drove a Type 43, which was a new car : chassis 43171 in the sale. Clearly, the car used by Campbell to start his racing season on 12 May 1928, could not have been either 43178 or 43179, both delivered ten days after that date. It is also clear that he drove the same car in the Tourist Trophy in August of that same year. Photos exist of 43189, 43168 and 43170 (Howe’s test car), with their specific features and respective registration plates, showing that they could not be the car used by Campbell in the 1928 TT. This only leaves just one contender, chassis 43171, to be the 2.3-litre Bugatti of the World Speed Record Holder, Malcolm Campbell. This is the car that he would have raced and tested on the circuit at Brooklands, where his garage « Brooklands Motor Co » was situated. At the start of 1928, Malcolm Campbell had just beaten the World Speed Record at Daytona Beach in Florida. On 19 February, at the wheel of his Bluebird, fitted with a new 900 bhp engine, he set the record at 332.992 km/h. He went on to beat this record every year in Florida between 1931 and 1935. In February 1931 his Bluebird II reached 395 km/h, a record that rose to 482 km/h by September 1935. Between these attempts, he regularly took to the wheel of his Bugatti to compete in race or sporting categories, often in the 1500cc class. Campbell’s private residence at this time was Byron House, 7-9 St James’ Street SW1. Cette Ferrari 275 GTB a été vendue neuve le 15 juin 1966 par Franco-Britannic Autos à Roger Plemiannikov, dit Roger Vadim, le fameux réalisateur de films dont un des plus célèbres est « Et Dieu créa la femme ». 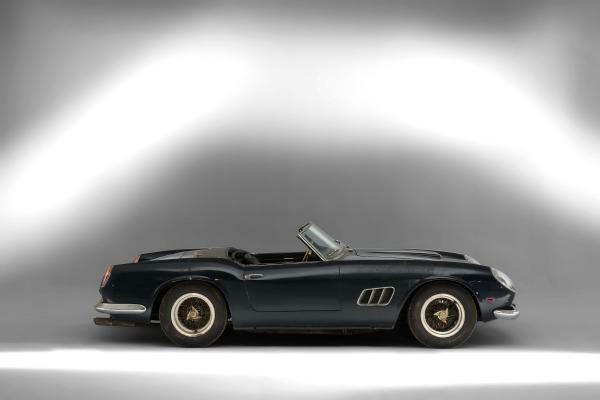 Nous avions vendu une autre de ses voitures il y a trois ans, sa Ferrari 250 LWB California Spider. De teinte bleu clair métallisé, elle était alors immatriculée 64 SW 75, dans le XVIIe arrondissement de Paris. Trois mois plus tard, le 16 septembre 1966, la carte grise passait au nom de Jane Plemiannikov, plus connue sous son nom de jeune fille Jane Fonda et épouse à l’époque de Roger Vadim. L’immatriculation ne changeait pas. Deux ans après, le 14 novembre 1968, la voiture recevait une immatriculation garage 1404 W 75 chez la Franco-Britannic, à Levallois-Perret. Elle a ensuite rejoint Lyon et là, alors qu’elle se trouvait dans un garage situé dans le quartier de Vaise, elle a été remarquée par un M. Tamalet, qui venait d’acheter une Renault 12 Gordini. Séduit par la belle Ferrari, il proposait au garagiste un échange entre les deux voitures : affaire conclue. C’est l’entreprise dont M. Tamalet était directeur qui est devenue propriétaire : la Compagnie Générale de Voitures de Luxe (C.G.V.L), basée 30 quai de Perrache, à Lyon. L’immatriculation changeait alors pour 1191 DG 69 et la voiture était repeinte en rouge pour M. Tamalet qui l’utilisait jusqu’en avril 1972. Elle passait ensuite dans le giron de Christian Baverey, directeur de sociétés à Lyon et grand amateur de Ferrari. Avec son épouse Anne Baverey, pilote automobile de talent (on la surnommait la « reine de la montagne »), ils participeront à bord de cette voiture à diverses sorties du Club Ferrari France, à la Coupe des Dames en octobre 1974 au Mas du Clos, la course de côte de Limonest-Mont Verdun en région lyonnaise en septembre 1974 et aux 35 mn d’Albi, en novembre 1975. Cette Ferrari 275 GTB était ensuite cédée le 16 avril 1980 à Michel Ferry, directeur de la Société des Bains de Mer de Monaco et très impliqué au sein de l’Automobile Club de Monaco, et immatriculée B 600. Le 14 novembre 1980, la voiture était rachetée par un collectionneur et amateur de voitures de sport de la région de Toulouse, et immatriculée 275 TM 31. Il l’a alors utilisée pour participer à quelques rallyes touristiques dans la région, avant de la céder en 1988 à un négociant automobile du sud de la France, qui la revendra au propriétaire actuel. Une Ferrari 275 GTB est déjà, en soi, une icône de l’histoire de l’automobile, une star qui mêle rareté, sensualité, puissance et efficacité. Quand en plus elle a appartenu à deux icônes du cinéma, alors elle devient une véritable exception ! 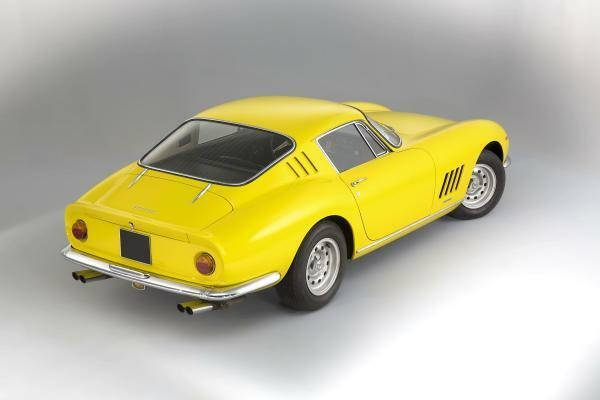 This Ferrari 275 GTB was sold new on 15 June 1966 by Franco-Britannic Autos to Roger Plemiannikov, known as Roger Vadim, the famous film director, whose well known films included » And God Created Woman « , (it was Vadim’s Ferrari 250 LWB California Spider that Artcurial sold three years ago). Presented in metallic light blue, this car was first registered 64 SW 75 in the 17th arrondissement of Paris. Three months later, on 16 September 1966, the registration document was transferred to Jane Plemiannikov, better known by her maiden name, Jane Fonda, Roger Vadim’s wife at that time. The registration number stayed the same. Two years later, on 14 November 1968, the car was registered 1404 W 75 by the garage Franco-Britannic, in Levallois-Perret. It later moved to Lyon where it was spotted in a garage in the Vaise neighbourhood by a certain Mr Tamalet, who had just bought a Renault 12 Gordini. He fell in love with this stunning Ferrari, proposed an exchange of the two cars to the garage owner, and the deal was done. It was Tamalet’s company that became the registered owner: Compagnie Générale de Voitures de Luxe (C.G.V.L), based at 30 quai de Perrache, in Lyon. The registration number changed to 1191 DG 69 and the Ferrari was repainted red for Mr Tamalet, who ran it until April 1972. The car then passed to Christian Baverey, a company director in Lyon and serious Ferrari enthusiast. Together with his wife, Anne Baverey, a talented racing driver (she was nicknamed » Queen of the Mountain « ), they participated in this car in various Club Ferrari France events, in the Coupes des Dames in Mas de Clos in October 1974, the Limonest-Mont Verdun hillclimb in the Lyon region in September 1974 and the 35 mn d’Albi, in November 1975. The Ferrari was sold on 16 April 1980 to Michel Ferry, director of the Société des Bains de Mer de Monaco, who was involved in the Automobile Club de Monaco, and it was registered B 600. On 14 November 1980, the car was acquired by a collector and sports car enthusiast from the Toulouse region, and registered 275 TM 31. He took part in various local rallies in it before selling the car in 1988 to a dealer in the South of France, who in turn sold it to the current owner. 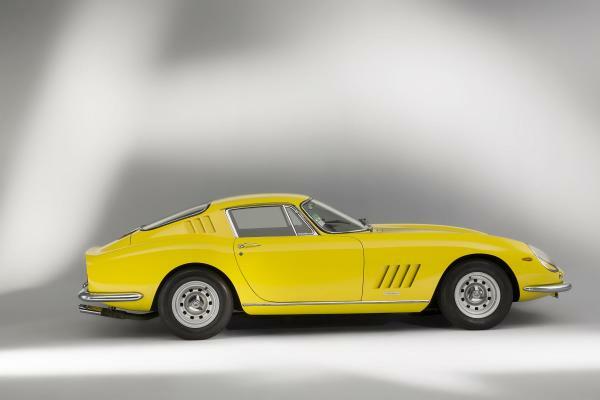 The Ferrari 275 GTB has become an icon of automobile history, a superstar that offers rarity, sensuality, power and versatility. When such a car has also been owned by two screen idols, it becomes totally exceptional ! Avec la 250, le destin de Ferrari va changer. De constructeur marginal, il va prendre une dimension industrielle et acquérir l’aura mondiale qu’on lui connaît aujourd’hui. Autour du fameux V12 3 litres, dont les qualités de puissance et de souplesse ne sont plus à démontrer, naissent deux familles d’automobiles : des Ferrari exclusivement destinées à la piste, et d’autres plutôt réservées à un usage routier et offrant donc un confort et un équipement dont étaient jusque-là dépourvues les voitures de la marque. La branche course donnera naissance à des légendes sur roues comme les Testa Rossa, berlinettes Tour de France, 250 GTO ou 250 LM alors que la famille des voitures de route produira de merveilleux coupés ou cabriolets que se disputeront stars, sportifs de haut niveau et gros industriels. Mais ce qui caractérise aussi le constructeur de Maranello, ce sont les « passerelles » constantes qui relient les deux familles, et qui fait que les voitures de route ne sont jamais très loin de la piste… Le spider 250 GT California est le fruit de ce mariage idéal. En effet, alors que le cabriolet 250 GT Pinin Farina est directement dérivé du coupé grand tourisme, le spider California s’appuie sur les berlinettes destinées à la compétition. A tel point d’ailleurs que, sur un dessin magistral de Pinin Farina, il est carrossé chez Scaglietti, à qui Ferrari confie la réalisation de ses voitures de compétition. Le spider reprend le même châssis de 2,60 m d’empattement que la berlinette Tour de France, son moteur offre des caractéristiques comparables et sa forme adopte le décrochement d’aile arrière caractéristique de la version fermée. Comme il est moins systématiquement orienté compétition, il accuse sur la balance quelques dizaines de kilos de plus que son homologue, mais reste malgré tout plus léger que le cabriolet. D’ailleurs, certains modèles plus spécialement préparés pour les joies du chronomètre vont se distinguer sur circuits : ainsi, Ginther et Hively terminent premiers de la catégorie Grand Tourisme et neuvièmes au classement général des 12 Heures de Sebring 1959 et Grossman et Tavano décrochent la cinquième place aux 24 Heures du Mans de la même année, au volant d’un spider engagé par l’écurie du NART de l’enthousiaste Luigi Chinetti. Ledit Chinetti n’est d’ailleurs certainement pas étranger à l’appellation « California » du spider 250 GT : d’origine milanaise, ami intime d’Enzo Ferrari, il participe largement et efficacement à la diffusion de Ferrari en Amérique du Nord, qui devient pour le constructeur italien un marché avec lequel le modèle va connaître une évolution parallèle à celle des versions compétition et un grand succès commercial auprès des plus exigeants amateurs fortunés. En tout, quarante sept exemplaires sont vendus en moins de deux ans dont curieusement 6 seulement en Californie. En réalité deux California de plus sont sorties des ateliers de Scaglietti à la même époque, un coupé » Boano » et un cabriolet Pinin Farina, rhabillés à la suite d’accidents. Et il convient bien sûr de ne pas oublier les 52 exemplaires sur châssis court qui ont pris la suite entre 1960 et 1962. Modèle exclusif et performant, le spider California garde une place à part dans la production Ferrari, car il réalise une synthèse inégalé entre les qualités des modèles de piste et ceux de route, les deux voies sur lesquelles Ferrari a appuyé son succès planétaire. De plus les carrosseries cabriolet de la marque sont particulièrement rares dans la production Ferrari, ce qui explique son succès grandissant au fil des décennies faisant aujourd’hui de la California la plus chère des Ferrari routières. Sur les 52 exemplaires produits sur châssis court, seuls 37 California sont sorties avec les phares carénées. Cette particularité est la plus recherchée aujourd’hui et ce, grâce à l’élégance supérieure qu’elle revêt. Lorsqu’il se rend au Salon de l’Auto, à Paris en 1961, Gérard Blain est déjà un acteur de cinéma confirmé. Á 31 ans, il a déjà une vingtaine de films à son actif et une passion pour les cabriolets Ferrari. Il vient de faire reprendre sa Ferrari 250 GT Série 1 (la voiture du Salon de Paris 1957) par la Franco-Britannic Autos, l’importateur Ferrari, et s’intéresse de très près au magnifique Spider 250 GT California châssis court, de couleur bleu foncé, hard-top bleu foncé, intérieur simili noir, exposé sur le stand de ce même importateur Ferrari. Ce châssis 2935GT, terminé le 27 septembre 1961, a été envoyé immédiatement chez l’importateur parisien pour le Salon qui a lieu du 5 au 15 octobre 1961. La première semaine du Salon sont exposées sur le stand de la Franco-Britannic une 250 GT Berlinette Lusso (#2917), une 250 GTE et une 250 cabriolet série II. La Ferrari 250 berlinette châssis court sera vendue dès le début du Salon et sera remplacée en deuxième semaine par cette Ferrari 250 California #2935. Après son achat par Gérard Blain, elle est immatriculée le 21 octobre 1961 à son nom et son adresse (9 rue de Siam, Paris XVIe arrondissement), sous le numéro 88 LR 75, 6 jours donc après la fermeture du Salon. Alain Delon est de la même génération que Gérard Blain, et les voitures de sport font évidemment partie de son environnement de star. Séduit par la belle Ferrari de son ami, il lui achète et on la retrouve immatriculée 4452 MC, à Monaco donc. Une copie du titre de circulation monégasque au nom de l’acteur nous montre qu’il l’a immatriculée précisément le 23 mai 1963 en Principauté. Il est incroyable de découvrir que Marc Bouvot, fils du troisième propriétaire, a retrouvé les plaques originales 4452 MC que son père avait conservé après l’achat auprès d’Alain Delon. A cette époque, après avoir été consacré par Plein Soleil et Rocco et ses frères, Alain Delon connaît une fantastique accélération de sa carrière d’acteur. Beau, séduisant, talentueux, il fait tourner les têtes et tomber les cœurs, et les producteurs profitent de cette fabuleuse image pour le faire tourner sans discontinuer. En 1963, il est avec Jane Fonda dans Les Félins, où René Clément l’entraîne dans une machiavélique machination. L’année suivante, on le retrouve avec Shirley MacLaine dans La Rolls Royce jaune où il séduit une riche et belle marquise. La Ferrari partage ces grands moments avec le célébrissime acteur et des photos le montrent au volant du Spider 2935GT, en compagnie des deux actrices, elles aussi des stars que le monde admire. En 1964, Alain Delon et sa femme Nathalie partent en voyage en Californie. L’acteur fait envoyer la voiture à destination afin d’en profiter dans les rues de Los Angeles. C’est certainement à ce moment-là que les répétiteurs de clignotants sur les ailes avant ont été changés afin de correspondre aux normes américaines. Nous avons retrouvé sous le siège passager les répétiteurs ronds d’origine dans leur boîte ! Sur l’attestation d’assurance de l’époque, un document original fourni par le fils du troisième propriétaire, on remarque une adresse inscrite à la main indiquant une adresse à Beverly Hills. Sans doute l’acteur avait-il noté cette indication afin de la communiquer à son assureur. Sur une photo prise aux États-Unis en 1964, la Ferrari California est surprise devant une station d’essence, avec Nathalie Delon, pendant que son mari vérifie la pression des pneus et, sur un autre cliché, on aperçoit le couple à Los Angeles, en promenade à bord de sa voiture. En juillet 1965, Alain Delon se sépare de la Ferrari California et en confie la vente à Michel Maria Urman Automobiles, 40 bis rue Guersant, Paris XVIIe, spécialiste de voitures de prestige. Elle est achetée le 2 août 1965 pour la somme de 30 000 francs par Paul Bouvot, alors que la voiture n’affiche que 37 000 km. Paul Bouvot dirige à cette époque le Centre de Style des Automobiles Peugeot, et son œil de styliste perçoit le caractère exceptionnel de la ligne de la California. Il confiera un jour à son fils : « Cette Ferrari est un chef d’œuvre ; elle est belle quel que soit l’angle sous lequel on la regarde, avec ou sans ses attributs ». Il évoque bien sûr les pare-chocs, qui sont parfois démontés de la voiture comme le montrent des photos que nous a montrées son fils Marc Bouvot. Robert Cooper gardera la voiture six mois, avant de la céder fin 1966 à un amateur de voitures de sport parisien qui en profitera jusqu’en octobre 1967. L’avant-dernier propriétaire de 2935GT est un médecin parisien qui la gardera quatre ans jusqu’à son acquisition en novembre 1971 par Jacques Baillon. 2935GT rentre alors dans une collection prestigieuse commencée dans les années 1950 par Roger Baillon, son père. Jacques Baillon roulera très peu avec la Ferrari qui, comme la plupart de ses voitures, se retrouvera vite remisée à l’abri du temps et des intempéries. Marc Bouvot, dont le père a acheté la Ferrari à Alain Delon en 1965, nous a permis de consulter ses documents originaux exceptionnels (plaques minéralogiques originales Monaco, certificats originaux d’assurance au nom d’Alain Delon, copie du titre monégasque, pochette originale en cuir). C’est également grâce à l’ouvrage de référence sur le Salon de Paris intitulé « Les Ferrari au Salon de Paris-1948 /1988 » de Dominique Pascal, et avec la collaboration de Jess Pourret et Marc Rabineau, que nous avons pu constituer un dossier historique très complet. » Ce graal automobile se trouve aujourd’hui telle que nous l’avons découvert, le 30 septembre dernier, alors que nous ouvrions la porte du garage de la propriété. Protégée de toute humidité, elle nous fait front, recouverte d’un léger voile de poussière et de quelques piles de magazines et autres journaux. Elle a mieux résisté au poids des années qu’au poids du papier…son coffre s’en est incliné. Mais il ne s’agissait surtout pas d’y toucher tant cette particularité donne à la Belle toute son originalité, son exclusivité et son histoire unique. Chaque grain de poussière reste celui de tant d’années de stockage à l’abri des intempéries. Protégée de l’humidité, sa robe est saine, tout autant que son châssis. Les jours de portes, capot et coffre sont droits et d’origine. Lorsque vous fermez les portes, on perçoit ce bruit caractéristique d’une automobile préservée. Ses vitres latérales sont en plexiglas (serait-ce d’origine ?). Son intérieur est celui d’origine, avec sa sellerie noire en simili cuir. L’acquéreur qui se glissera derrière son volant prendra possession de la clef pour ouvrir la boîte à gants. Il y découvrira la paire de gants en cuir havane asséchée par le temps, déposé sur des vignettes automobiles des années 71 à 75, jamais collées sur le pare-brise. Lorsqu’il baissera le dossier passager, il glissera sa main dans le vide-poche pour y découvrir le manuel d’origine ainsi que les bons d’essence d’époque. Dans le vide-poches du dossier du fauteuil conducteur, il découvrira le double de clefs. En ouvrant le coffre, il découvrira deux circuits pour enfants, certainement cachés là par Jacques Baillon en vue de les offrir à ses enfants à Noël…ses enfants ne les reçurent jamais…oubliés au fond du coffre… A côté, un nécessaire de pharmacie d’époque encore dans son emballage plastique ainsi que plusieurs exemplaires du livre de Paul Frère « La conduire en compétition ». La baie moteur elle semble ne jamais avoir bougée…jamais démontée, intacte avec ses deux bobines originales… rarissimes. Une procédure d’enregistrement des enchérisseurs particulière s’applique à ce lot. Si vous souhaitez enchérir sur ce lot, merci de vous manifester auprès du département et de vous enregistrer au moins 48 heures avant la vente. 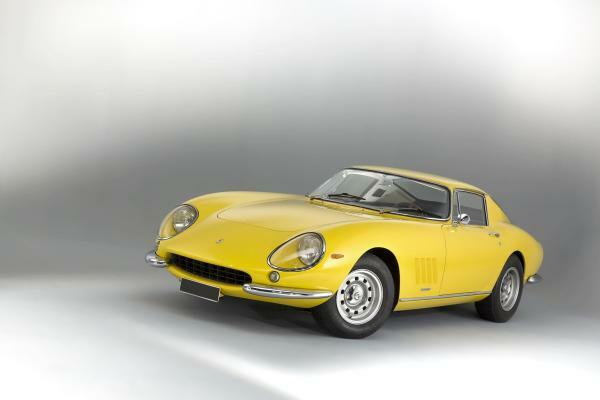 Ferrari’s destiny was changed by the 250. Starting as a small-scale constructor, it took on an industrial dimension and gained the international reputation that it enjoys today. Centred on the famous V12 3-litre engine, which had nothing further to prove, two Ferrari families were born : one destined exclusively for the track and the other, offering a level of comfort and equipment missing until that point, for the road. The racing line gave birth to such legendary cars as the Testa Rossa, Tour de France berlinetta, 250 GTO and the 250 LM. Meanwhile stars, tycoons and amateur enthusiasts fought over the road-going line which produced splendid coupés and cabriolets. A constant characteristic of Maranello was the strong link between these two groups, which meant that the road-going cars were never far from the race track…The 250 GT California Spider is the child of this perfect marriage. 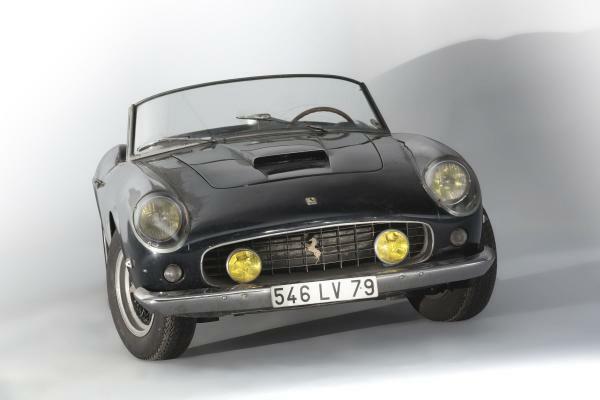 Indeed, while the 250 GT cabriolet by Pinin Farina is derived from the GT coupé, the California Spider is drawn from the competition berlinettas. So much so that the brilliant design by Pinin Farina was bodied by Scaglietti who built the competition cars for Ferrari. The Spider used the same chassis with 2.6m wheelbase as the Tour de France, had a comparable engine and featured the same rear wing styling as the closed version. Being geared less towards racing, it was a little heavier than its counterpart, but still lighter than the cabriolet. Also, there were certain models, specially prepared with a stopwatch in mind, that distinguished themselves on the circuit : Ginther and Hively finished first in the GT category and ninth overall in the 1959 Sebring 12 Hour race, and Grossman and Tavano took fifth place in the Le Mans 24 Hour race the same year, at the wheel of a spider from the NART team belonging to enthusiast Luigi Chinetti. 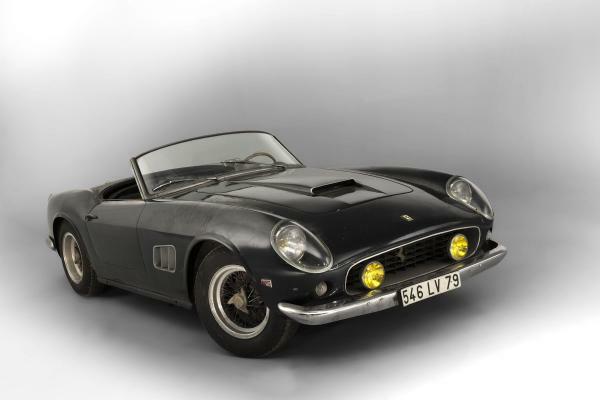 The aforementioned Chinetti was involved in the » California » title of the 250 GT Spider: originally from Milan and a close friend of Enzo Ferrari, he was largely responsible for the widespread and efficient distribution of Ferrari throughout North America. This became an important market for the model that evolved alongside the competition versions, and enjoyed great commercial success with demanding wealthy amateur drivers. In all, forty-seven examples were sold in under two years, with surprisingly just six going to California. Two further Californias left the Scaglietti workshop at that time, a » Boano » coupé and a Pinin Farina cabriolet, both rebodied after accidents. And one must not forget the 52 short-chassis examples which followed on between 1960 and 1962. An exclusive and high-performance model, the California Spider holds a special place in the history of Ferrari, as it embodies an unrivalled fusion of qualities for road and track, the two paths on which Ferrari built its global success. 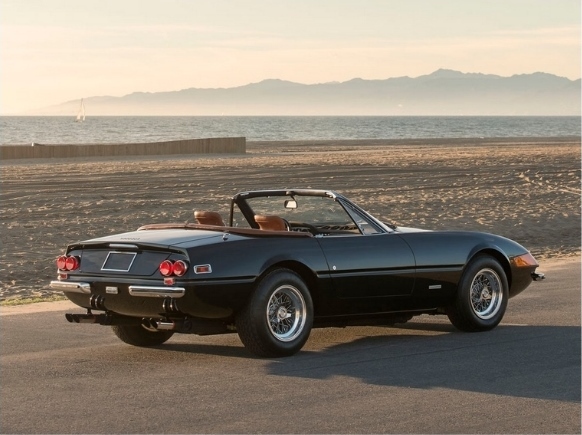 The open versions of this marque are particularly rare, which explains the growing success across the decades of the California, the most expensive road-going Ferrari today. Of the 52 short wheelbase examples of the California produced, just 37 had covered headlights. This feature is the most highly sought after today, for its superior elegance. When he arrived at the Paris Motor Show in 1961, Gérard Blain was already an established film actor. He was 31, with some twenty films to his name and a passion for Ferrari convertibles. He had just returned his Ferrari 250 GT Series 1 (the 1957 Paris Motor Show car) to the Ferrari importer Franco-Britannic Autos, and was interested in the magnificent 250 GT California SWB Spider, in dark blue with dark blue hard-top and black imitation leather interior, displayed on the same Ferrari importer’s stand. This particular chassis 2935GT, completed on 27 September 1961, had been sent straight to the Parisian importer to be shown at the Motor Show on 5 to 15 October 1961. During the first week of the show, a 250 GT Berlinetta Lusso (#2917), a 250 GTE and a 250 cabriolet series II were on show on the Franco-Britannic stand. The Ferrari 250 SWB berlinetta was sold at the start of the show and was replaced in the second week by this Ferrari 250 California #2935. The Ferrari was bought by Gérard Blain and registered on 21 October 1961 in his name and address (9 rue de Siam, Paris XVIe arrondissement), with the number 88 LR 75, just six days after the Motor Show had closed. Alain Delon was from the same generation as Gérard Blain, and sports cars were clearly part of his celebrity scene. Liking the look of his friend’s stunning Ferrari, he bought it, and had it registered in Monaco, 4452 MC. A copy of the Monégasque registration papers in the actor’s name reveals that he registered it on 23 May 1963 in the Principality. Amazingly, Marc Bouvot, the son of the third owner, found the original plates 4452 MC that his father kept after buying the car from Alain Delon. At this period, having become established through roles in Plein Soleil et Rocco et ses frères, Alain Delon’s acting career suddenly took off. Handsome, charming and talented, he caused heads to turn and hearts to break. Producers profited from this fabulous image by keeping him busy in one film after another. In 1963, he starred with Jane Fonda in Les Félins (Joy House), in which René Clément weaved him into a Machiavellian plot. The following year, he appeared with Shirley MacLaine in La Rolls Royce jaune (The Yellow Rolls-Royce), in which he seduced a rich and beautiful marquise. The Ferrari shared these great moments with the celebrity actor and photos show him at the wheel of the Spider 2935GT, in the company of these two actresses, themselves stars admired worldwide. In 1964, Alain Delon and his wife Nathalie travelled to California. The actor had the car sent out so that he could enjoy driving it around the streets of Los Angeles. It must have been at this time that the indicator lights on the side of the front wings were changed to correspond with American regulations. Under the passenger seat we found the original round indicator lights in their box ! On the period insurance certificate, an original document supplied by the son of the third owner, an address in Beverley Hills is recorded by hand. No doubt the actor noted this information down for his insurance company. In a photo taken in the United States in 1964, the Ferrari California is spotted at a gas station, with Nathalie Delon, while her husband checks the tyre pressures. In another photo, the couple are seen in Los Angeles, riding in their car. 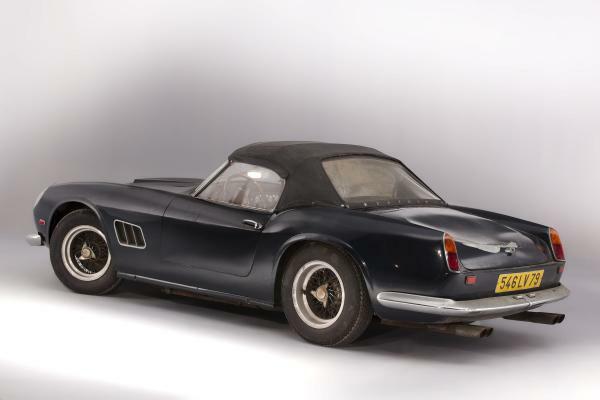 Robert Cooper kept the car for six months, before selling it at the end of 1966 to a Parisian sports car enthusiast who ran it until October 1967. 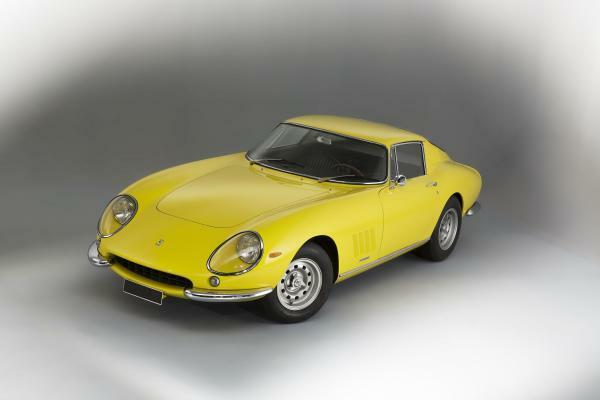 The last but one owner of 2935GT was a doctor from Paris who kept the car for four years until it was acquired by Jacques Baillon in November 1971. And so 2935GT entered a prestigious collection that had been started during the 1950s by Roger Baillon, his father. Jacques Baillon drove the Ferrari very little, and like the majority of his cars, it soon found itself stored away, protected from the elements and bad weather. Marc Bouvot, whose father bought the car from Alain Delon in 1965, allowed us to consult his outstanding original documents (original Monaco number plate, original insurance documents in Alain Delon’s name, copy of the Monégasque registration document, original leather folder). Also thanks to the reference book on the Paris Motor Show entitled « Les Ferrari au Salon de Paris-1948 /1988 » by Dominique Pascal, with the collaboration of Jess Pourret and Marc Rabineau, we were able to put together a complete history file. » This highly sought-after automobile is presented today exactly as we found it, on 30 September, when we opened the garage door to the property. There it sat in front of us, in the dry, covered with a light veil of dust and several piles of magazines and papers. It has held up against the passing of the years better than the weight of paper…its boot is dented. However, it was imperative not to touch anything, as this was part of the story of this Sleeping Beauty, its originality, exclusivity and unique history. Every speck of dust is a record of the years it has been stored and kept safe from the elements. Protected from moisture, the body and the chassis are both sound. The lines of the original doors, boot and bonnet are straight. When you close the doors, you hear that characteristic sound of a motor car that has been preserved. The side windows are in plexiglas (would they have been original ?). The interior is original, with black imitation leather upholstery. The future buyer who slips in behind the wheel will take possession of the key to the glove box and will find a pair of tan leather gloves, dried over time, laid on top of tax discs from 1971 to 1975 that were never stuck on the windscreen. In the pocket on the back of the passenger seat he will find the original owner’s manual and some old fuel receipts. In the back of the driver’s seat he will discover the spare set of keys. On opening the boot, he will find two children’s tracks that must have been hidden there by Jacques Baillon, a Christmas present for his children…his children never received these and they were left, forgotten, deep at the back of the boot…Next to them, a packet from the chemist, still in its plastic wrapper, along with several copies of the book by Paul Frère » La conduite en compétition « . The engine bay looks as if it has never been moved…never dismantled, and is intact still with the two original coils…incredibly rare. Special bidder registration procedures apply to this lot. If you intend to bid on this lot you need to register your interest with Artcurial no less than 48 hours in advance of the sale. 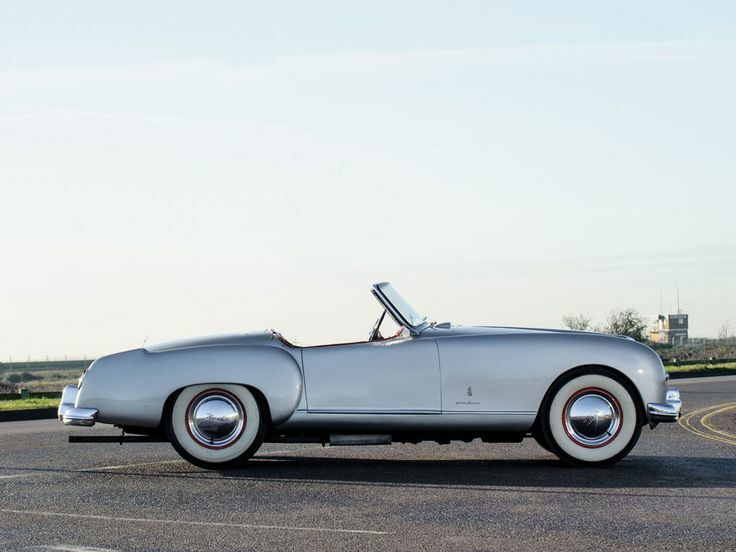 1952 Nash-Healey Roadster by Pinin Farina. Estimate €60.000 – €80.000. Photo courtesy RM Auctions. 125 bhp, 3,848 cc inline six-cylinder engine with two carburettors, three-speed manual transmission with overdrive, front suspension with trailing lower links and coil springs, rear suspension with a live axle and coil springs, and four-wheel hydraulic drum brakes. Wheelbase: 2,600 mm. During a chance meeting whilst crossing the Atlantic on the Queen Elizabeth, Englishman Donald Healey and Nash-Kelvinator chief George Mason discussed the prospect of collaborating on a sports car. The duo came to an agreement, and batches of Nash Ambassador six-cylinder engines and three-speed gearboxes with overdrive were shipped to Warwickshire, England. There, they were mated with a Healey Silverstone chassis and a Panelcraft body of Healey design. Production began for the 1951 model year in December 1950. Racing versions finished 9th in class in the Mille Miglia and 4th overall at Le Mans, but the steep $4,063 price for Nash’s halo car kept sales to just 104 units that first year. 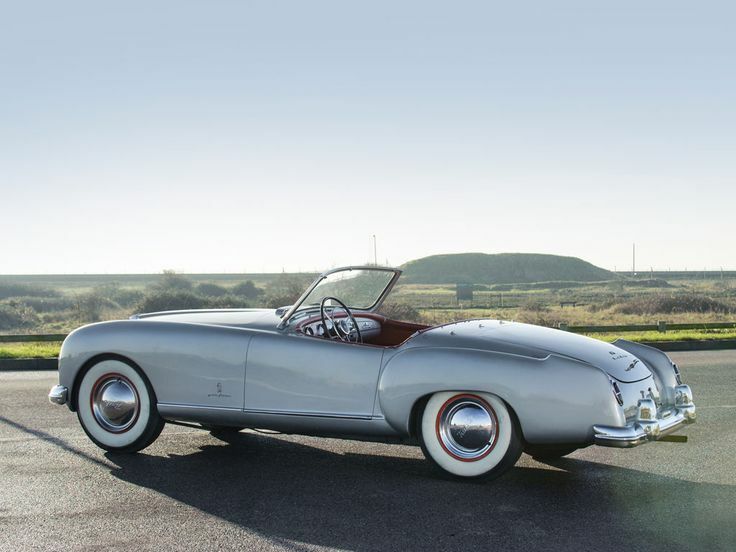 Mason never cared for the original slab styling of the car, so he contracted Italy’s Battista “Pinin” Farina to style the senior Nashes for 1952, as well as to update the Nash-Healey. Steel bodywork replaced aluminium. The price jumped to $5,858, and a total of just 150 were produced. Production ended just two short years later, after a total of 506 units had been built. This unusual, highly original Nash-Healey was previously owned by a respected enthusiast in Midwestern United States. Previously, it was found resting in a warehouse in Holland for the better part of 25 years. It is a matching-numbers car with its original engine. Although it is believed that the car has been repainted many years ago, it is likely all-original, and it is virtually intact, including its top and side curtains. Period advertising materials are also included with the sale of this Nash-Healey. The car is running; although, after long-term storage, further re-commissioning is recommended prior to making the car roadworthy. 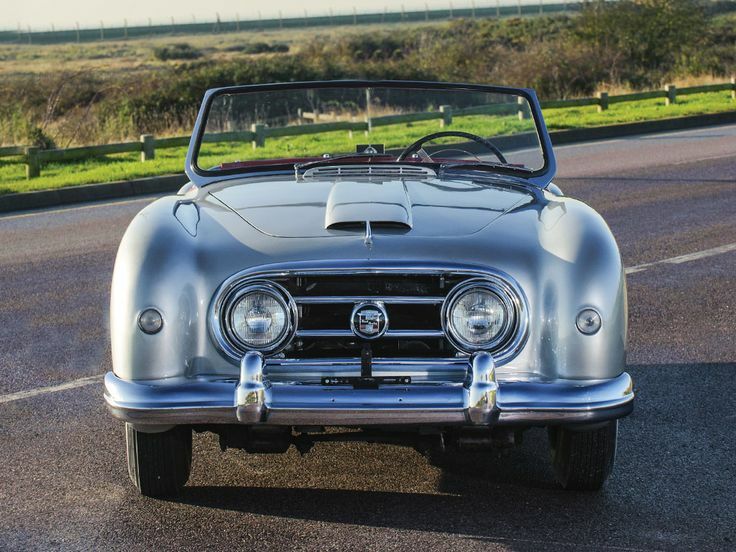 With today’s interest in original cars and barn-find examples, this is an outstanding and uncommon opportunity to purchase an iconic and rare Nash-Healey convertible. Lors d’un entretien impromptu au cours d’une traversée de l’Atlantique à bord du paquebot Queen Elizabeth, Donald Healey et George Mason, directeur de Nash-Kelvinator, ont évoqué la possibilité de collaborer sur la réalisation d’une voiture de sport. Ils ont fini par trouver un accord, si bien que des lots de moteurs six-cylindres et de boîtes de vitesses trois rapports de Nash Ambassador étaient ensuite expédiées des États-Unis jusqu’au Warwickshire, en Angleterre. Là, cette mécanique était installée sur un châssis de Healey Silverstone, le tout recevant une carrosserie Panelcraft dessinée par Healey. La production commençait en décembre 1950, pour l’année-modèle 1951. Des versions compétition obtenaient parallèlement de bons résultats, avec une neuvième place de catégorie aux Mille Miglia et une quatrième au classement général des 24 Heures du Mans, mais le prix élevé de 4 063 $ empêchait les ventes de dépasser 104 unités au cours de cette première année. Mason n’appréciait pas beaucoup le style un peu massif de la voiture et, ayant déjà signé un contrat avec Battista « Pinin » Farina pour dessiner les Nash de l’année 1952, il demandait au carrossier de se pencher aussi sur la Nash-Healey. La carrosserie aluminium laissait place à de l’acier, le prix faisait un bon à 5 858 $ et la production atteignait 150 exemplaires. La voiture disparaissait toutefois du catalogue deux petites années plus tard, avec un total de 506 unités produites. Cette Nash-Healey inhabituelle et extrêmement originale a appartenu à un passionné respecté du Middle West américain. Auparavant, elle avait été découverte reposant dans un entrepôt en Hollande où elle était restée quelque 25 années. Elle présente des numéros concordant, dont celui de son moteur d’origine. Bien qu’elle ait probablement été repeinte il y a plusieurs années, le reste de la voiture est très largement d’origine, pratiquement intact, y compris la capote et les panneaux latéraux amovibles. Des documents promotionnels d’époque sont inclus à la vente. La voiture fonctionne mais, à la suite d’une longue période d’immobilisation, une révision approfondie est recommandée avant de prendre la route. Avec l’intérêt que suscitent aujourd’hui les voitures en état d’origine et les « sorties de grange », il s’agit d’une opportunité remarquable et peu commune d’acheter un emblématique et rare cabriolet Nash-Healey. 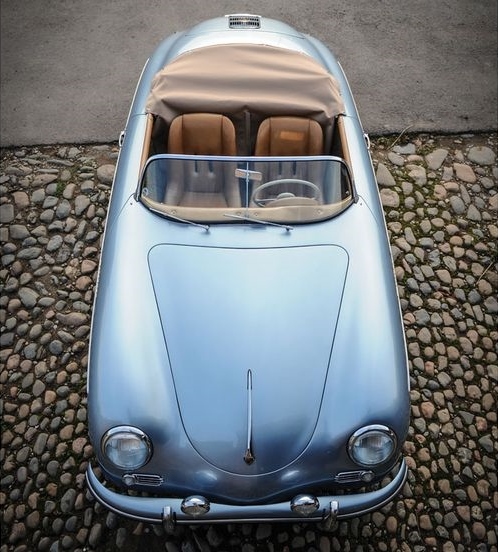 1955 Porsche 356 Pre-A Speedster by Reutter. Estimate €225.000 – €250.000. Photo courtesy RM Auctions. 95 bhp, 1,582 cc OHV air-cool horizontally opposed four-cylinder engine with two Zenith carburettors, four-speed manual transmission, independent front suspension with transverse torsion bars, parallel trailing arms, and tubular shock absorbers, independent rear swing axles with torsion bars and tubular shock absorbers, and front and rear drum brakes. Wheelbase: 2,100 mm. Porsches were virtually unknown in the United States in the early 1950s. Automotive entrepreneur Max Hoffman was doing his best to spread the word, but it was a struggle to sell this new German import when its retail price was so much more than those of the simple British sports cars that also shared his showroom floor. Hoffman sat down to dinner with Ferry Porsche to plead for a less-expensive product, something with a base price below $3,000. At that price, declared Hoffman, he can sell every one that Porsche could build; although that price point was just a place to start. Almost every item that was not screwed on was an “extra-cost option”. History tells us that Hoffman was absolutely right, and bare-bones Speedsters were soon in wide demand, especially in sunny Southern California. These lightweight and nimble Speedsters were fitted with either a « Normal » or more powerful « Super » engine of 1,500-cubic centimeter or, later, 1,600-cubic centimeter displacement, and they quickly proved themselves in competition.They were true multi-purpose sports cars whose owners could drive to the track, quickly unbolt the removable windshield if they preferred, tape over the headlamps, slap some numbers on the side, and go racing. Soon, the small-displacement production sports car grids of the SCCA and California Sports Car Club were filled with Speedsters whose brilliant handling qualities made them consistent favourites. Whilst most examples were exported to America, they made their mark in Europe as well, consistently winning their classes at hill climbs and circuit racing events. This pretty “pre-A” left the factory on 26 September 1955, wearing white enamel paint (code 603) with a black leatherette interior and black trim, which included its top, side curtains, and tonneau cover. According to its factory Kardex, this Speedster was fitted with sealed-beam headlights and a speedometer marked in mph for the U.S. market. From Hoffman’s New York City sales agency, it was soon on its way to its first owner. The earliest documents provided with this car indicate that it was still registered in 1984 to A. Pettyjohn, of Sunland, California. That year, it was sold to a Louis Nelli, of Chatsworth, California. The car returned to the East Coast in 1986, where Kermit Heim, a 356 enthusiast in Tampa, Florida, spent the next two years thoroughly restoring it. The quality of his workmanship was such that the car received a 100-point score from the judges at Werksfest in 1989. 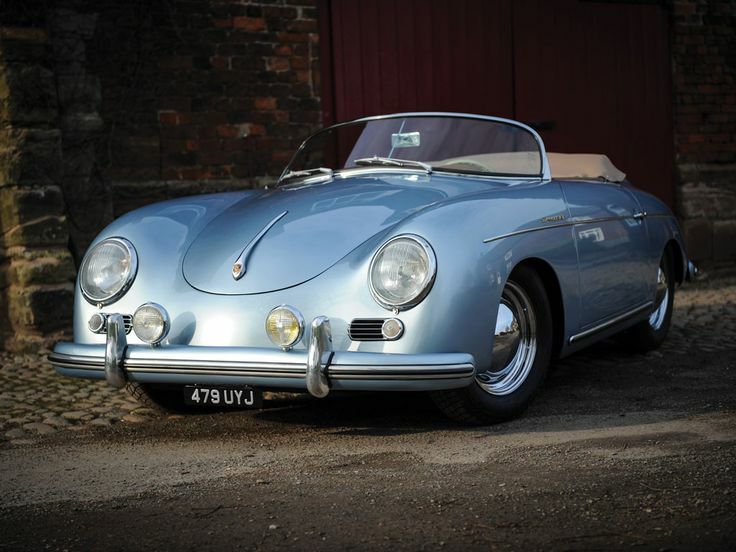 Mr Heim offered this car for sale in the June/July 1990 issue of The 356 Registry Magazine, which described it as follows: “1955 356 Speedster #80824. Red/tan with 1600S engine. 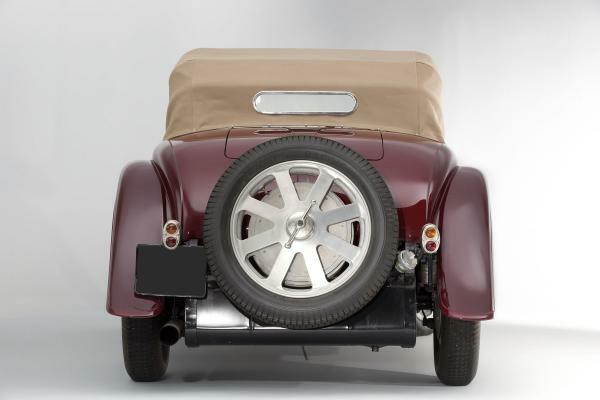 Concours winning restoration of an unmolested Cal/Nev. car. Color sanded finish, low bow top, NOS mesh stone guards and fog lights. Comes with unrestored correct type ’55 1500 engine. Beautiful and expensive”. 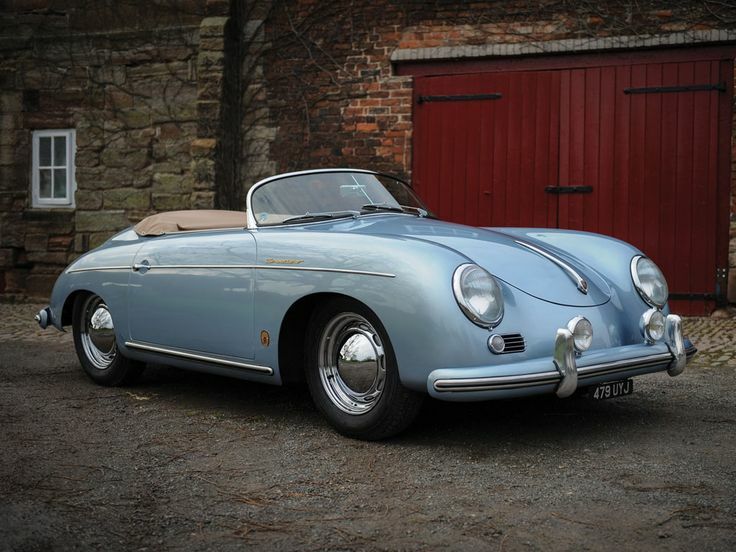 Mr Heim retained ownership of this delightful little Porsche until the current owner acquired it from his estate. Today, the car is finished in Aquamarine (Code 607), a period-correct Speedster colour, with a tan vinyl interior, beige square-weave carpet, and German fabric hood, tonneau, and side curtains. A pair of Marchal 670 driving lamps is mounted on the front bumper. The instruments were restored by marque experts at North Hollywood Speedometer, whilst the Zenith carburettors have recently been overhauled. The car is also fitted with a new Dansk sports exhaust. 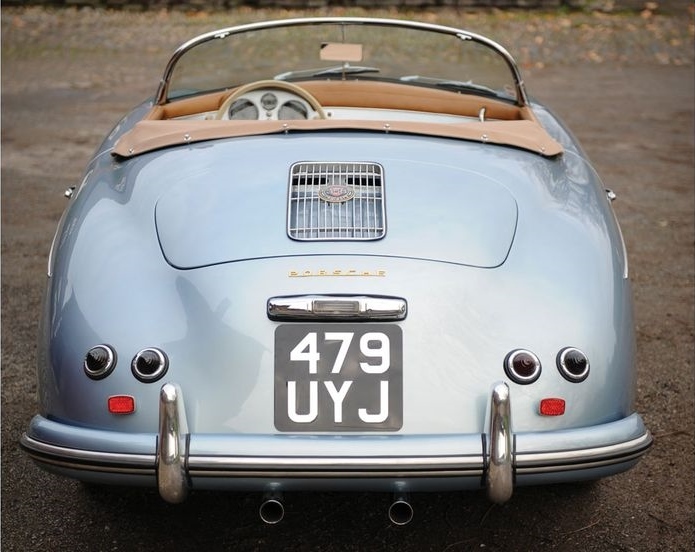 Today, a Speedster is a must-have for any serious Porsche collector. Only 1,233 pre-A Speedsters were constructed, and here is an opportunity to own a fine example in an attractive colour scheme that has a more powerful “SC” engine, one that is capable of providing many miles of fast and enjoyable motoring. For the purchaser desirous of bringing the car back to its original mechanical specification, a series-correct 1500 Type 546/2 engine (number 34467) is included. 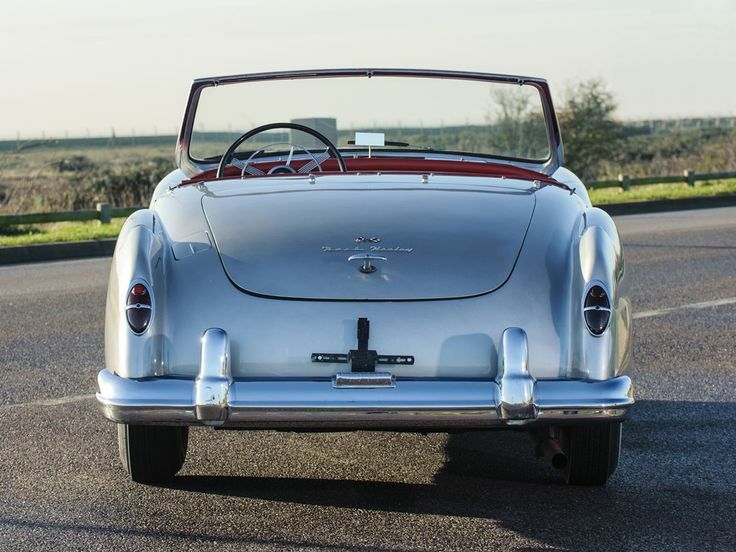 This charming Speedster, currently carrying UK registration 479UYJ, is supplied with a large folio of invoices that pertain to its comprehensive restoration and past registrations. Additionally, the file includes the October 1989 issue of the Porsche Club of America’s magazine, which notes the car’s 100-point concours success, as well as the aforementioned Porsche Certificate of Authenticity, which was addressed to Mr Heim in 1989. 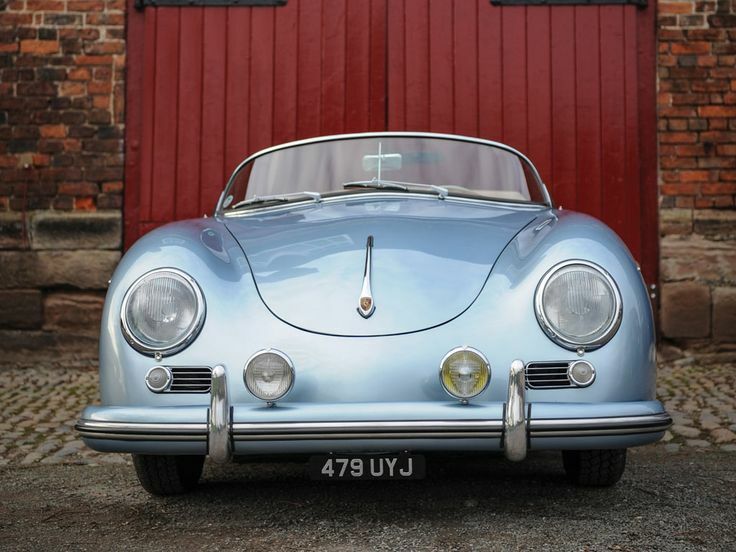 1955 Porsche 356 Pre-A Speedster by Reutter. Estimation €225.000 – €250.000. Photo courtesy RM Auctions. Au début des années 1950, Porsche était une marque pratiquement inconnue aux États-Unis. L’entrepreneur automobile Max Hoffman faisait de son mieux pour la promouvoir, mais il était difficile de vendre cette nouvelle voiture allemande importée alors que son prix était plus élevé que celui des sportives anglaises qu’il proposait également. A l’occasion d’un dîner avec Ferry Porsche, Hoffman a donc plaidé pour un modèle moins cher, à moins de 3 000 $. A ce prix, déclarait Hoffman, il était capable de vendre toutes les Porsche que pouvait produire l’usine, même s’il s’agissait d’un tarif de base auxquels s’ajoutaient tous les extras proposés en option. L’histoire nous dit que Hoffman avait vu juste, car les rustiques Speedster ont rapidement connu une demande importante, en particulier en Californie du sud, inondée de soleil. Équipés d’un moteur « Normal » ou d’un plus puissant « Super », d’une cylindrée de 1 500 puis 1 600 cm3, les Speedster légers et agiles ont rapidement montré leurs qualités en compétition. Il s’agissait de sportives très polyvalentes, avec lesquelles leurs propriétaires pouvaient se rendre sur un circuit, démonter le pare-brise s’ils le souhaitaient, protéger les phares avec de l’adhésif, coller des numéros sur les portes et prendre le départ. Les compétitions pour voitures de série de petite cylindrée organisées par le SCCA et California Sports Car Club se sont rapidement remplies de Speedster, souvent favorites grâce à leur excellent comportement. Et, même si la plupart des exemplaires produits ont pris la direction des États-Unis, le Speedster était commercialisé aussi en Europe où il remportait régulièrement courses de côte ou épreuves sur circuit. Cette jolie Pre-A est sortie d’usine le 26 septembre 1955, habillée d’une peinture blanche laquée (code 603) avec sellerie en simili noir et équipement incluant capote, panneaux latéraux et couvre-tonneau. Selon le Kardex d’usine, ce Speedster était doté de phares scellés et d’un compteur de vitesse gradué en miles pour le marché américain. Après être passé par l’agence de New York de Max Hoffman, il était livré sans tarder à son premier propriétaire. Les archives les plus anciennes accompagnant cette voiture indiquent que, en 1984, elle était immatriculée au nom de A. Pettyjohn, de Sunland, Californie. Cette même année, elle était vendue à Louis Nelli, de Chatsworth, Californie. La voiture repartait en 1986 vers la Côte Est où Kermit Heim, un passionné de 356 de Tampa, Floride, consacrait les deux années suivantes à la restauration de cette voiture. La qualité du travail était telle que ce Speedster recevait en 1989 une note de 100 points de la part des juges de la Werksfest. M. Heim proposait ensuite cette voiture à la vente dans le numéro de juin/juillet 1990 de The 356 Registry Magazine, avec le texte suivant : « 356 Speedster 1955 #80824. Rouge/beige avec moteur 1600 S. Restauration concours d’une voiture Cal/Nev tout à fait saine. Finition sable, capote basse, grilles de protection de phares et antibrouillards. Livrée avec moteur 1500 type 1955 conforme. Superbe et chère ». Finalement, M. Heim a conservé cette séduisante petite Porsche jusqu’à ce que son propriétaire actuel en fasse l’acquisition auprès de sa succession. La voiture est aujourd’hui de teinte aigue-marine (Code 607), une couleur d’époque du Speedster, avec sellerie en simili beige, moquette beige à maille carrée, capote en tissu allemand et panneaux latéraux. Deux phares Marchal 670 longue portée sont fixés sur le pare-chocs avant. Les instruments ont été restaurés par North Hollywood Speedometer, spécialiste de la marque, alors que les carburateurs Zenith ont été refaits récemment et que la voiture a été équipée d’un nouvel échappement Dansk. De nos jours, un Speedster est un passage obligé pour tout collectionneur sérieux de Porsche. Seulement 1 233 Speedster Pre-A ont été produits, et ici se présente l’occasion d’acquérir un bel exemplaire dans un thème de couleur attrayant, doté d’un moteur SC plus puissant, idéal pour profiter pleinement et longtemps des qualités routières de ce Speedster. L’acheteur souhaitant lui rendre ses spécifications mécanique d’origine peut le faire, grâce à la présence d’un moteur 1500 Type 546/2 (n° 34467) conforme, livré avec la voiture. Ce séduisant Speedster, portant aujourd’hui l’immatriculation anglaise 479UYJ, est accompagné d’un important dossier de factures relatives à sa restauration complète, et concernant ses immatriculations précédentes. De plus, le dossier inclut le numéro d’octobre 1989 du magazine du Porsche Club of America, où est mentionnée la note de 100 points obtenue au concours par cette voiture, ainsi qu’un Certificat d’Authenticité Porsche adressé à M. Heim en 1989.